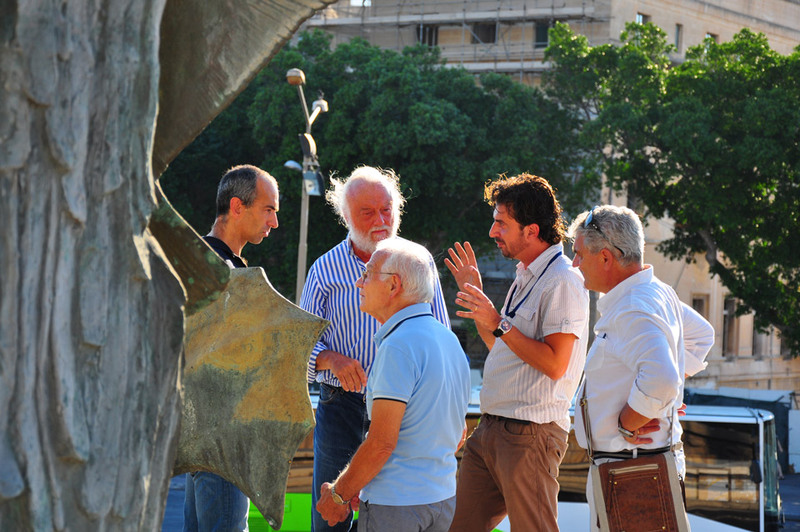 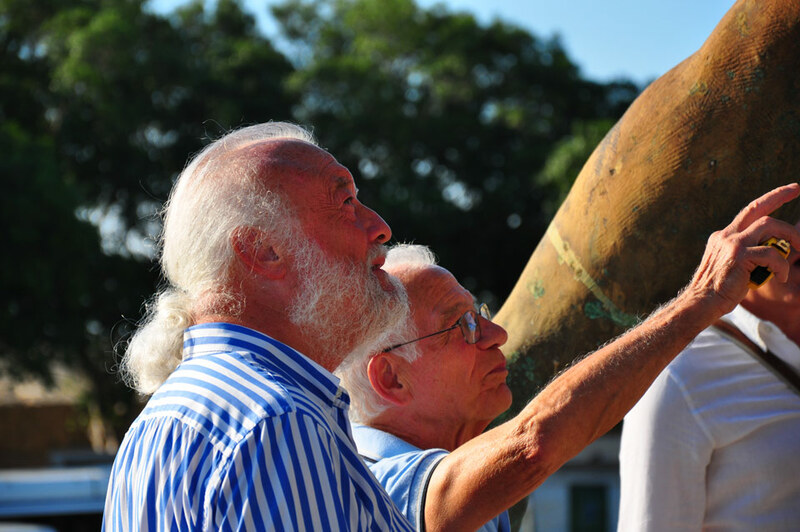 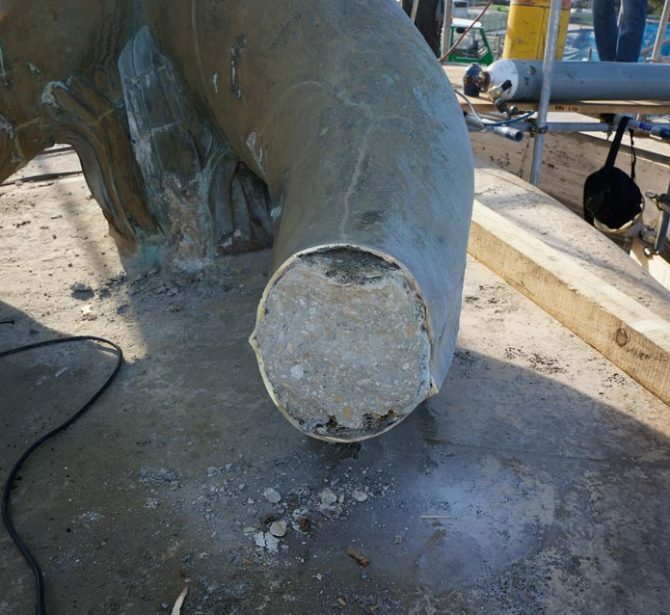 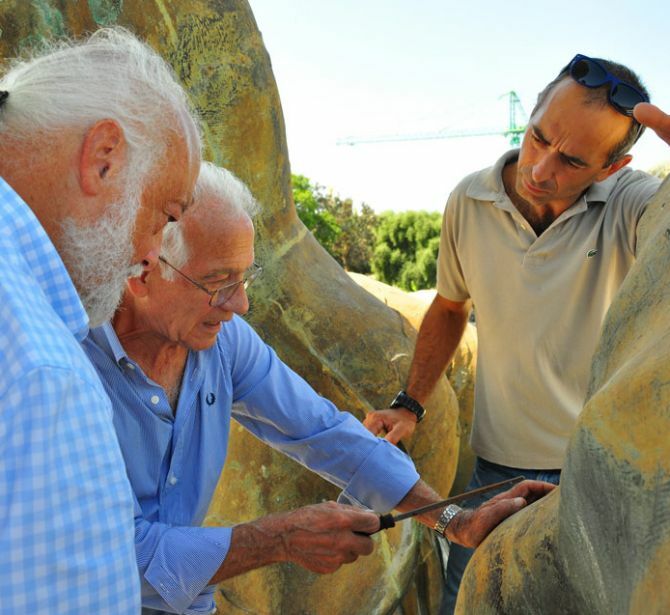 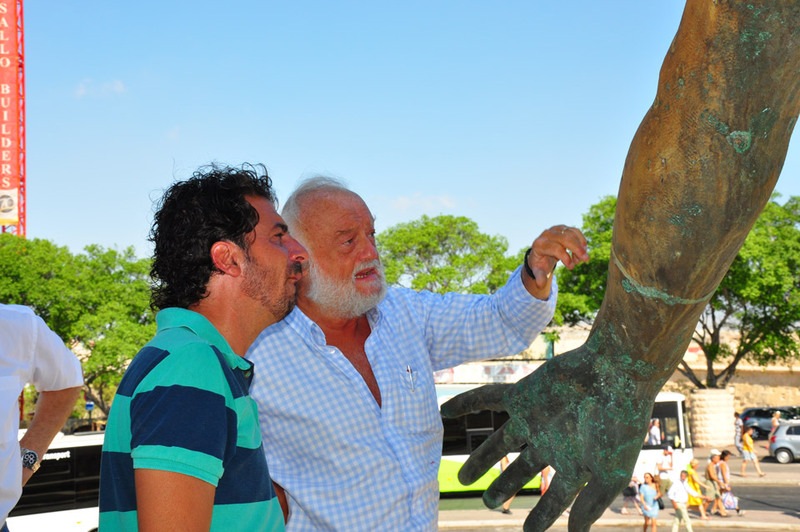 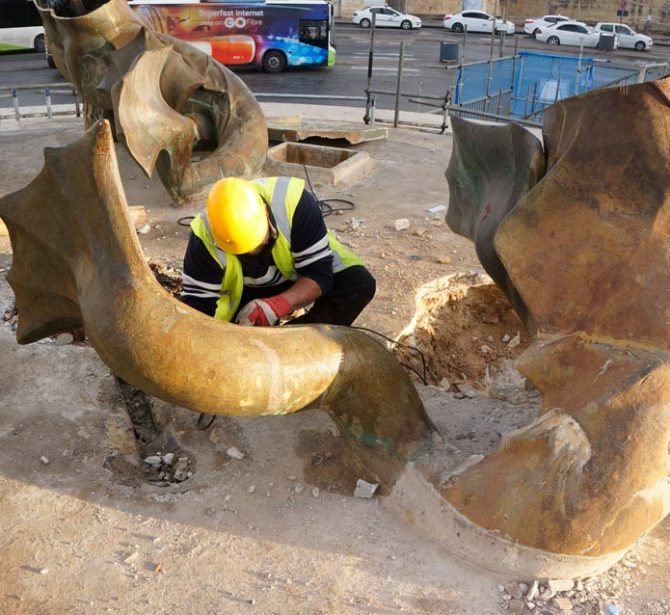 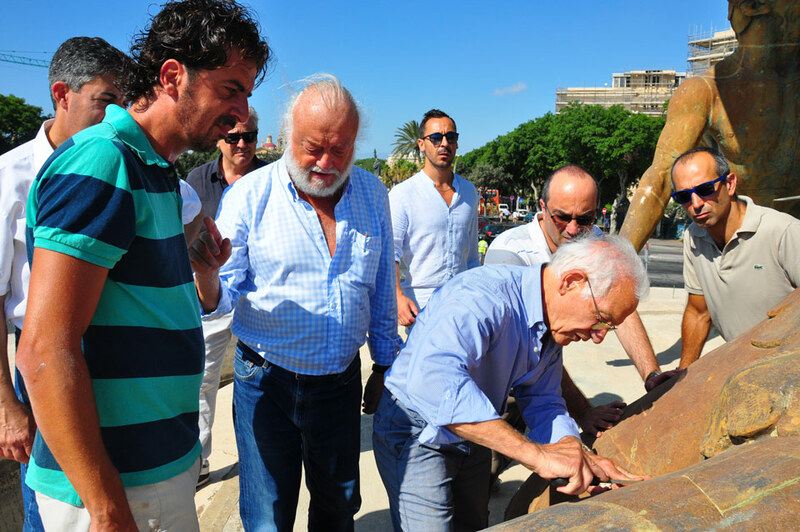 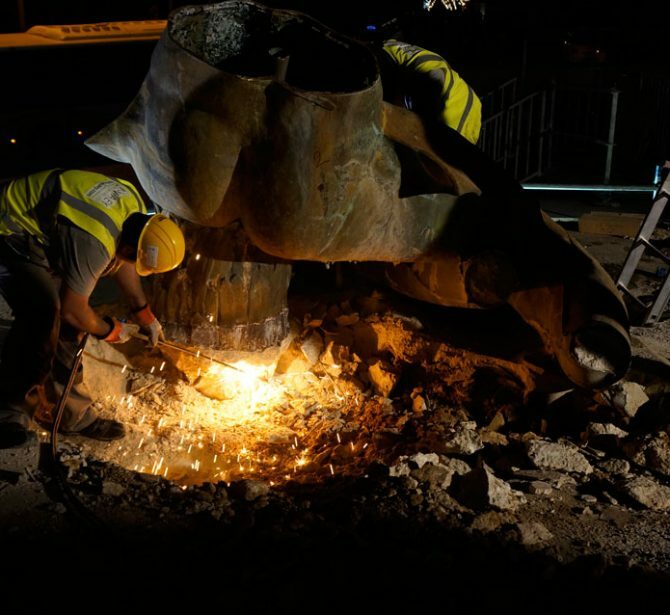 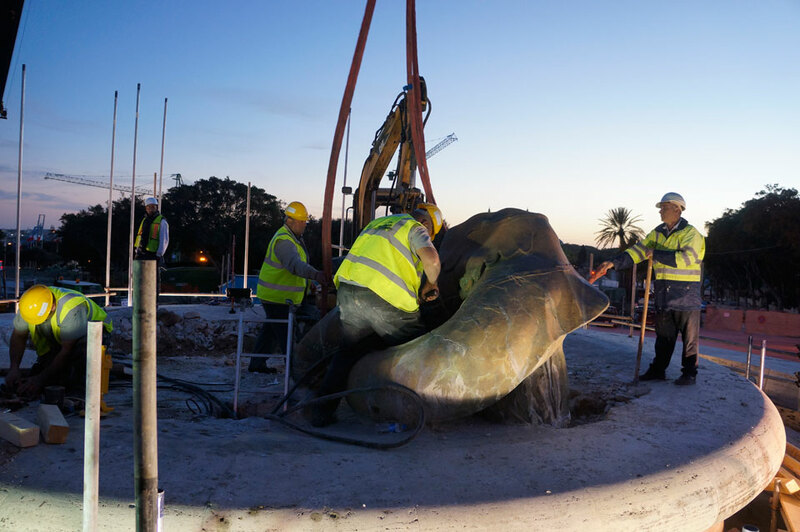 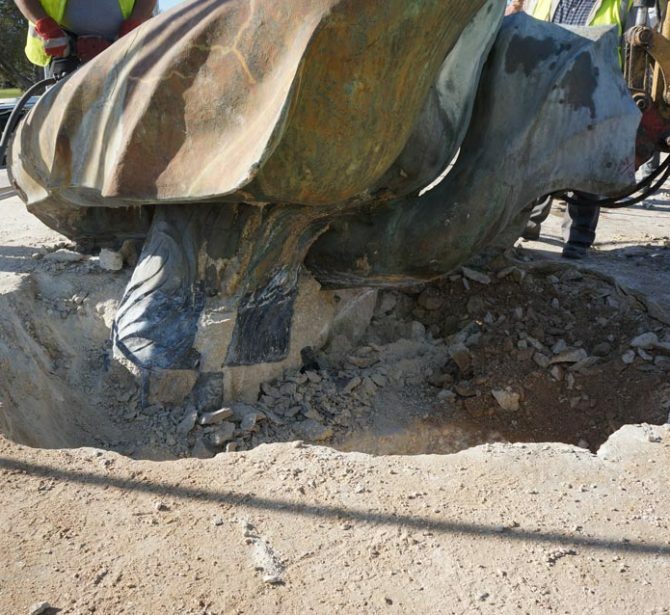 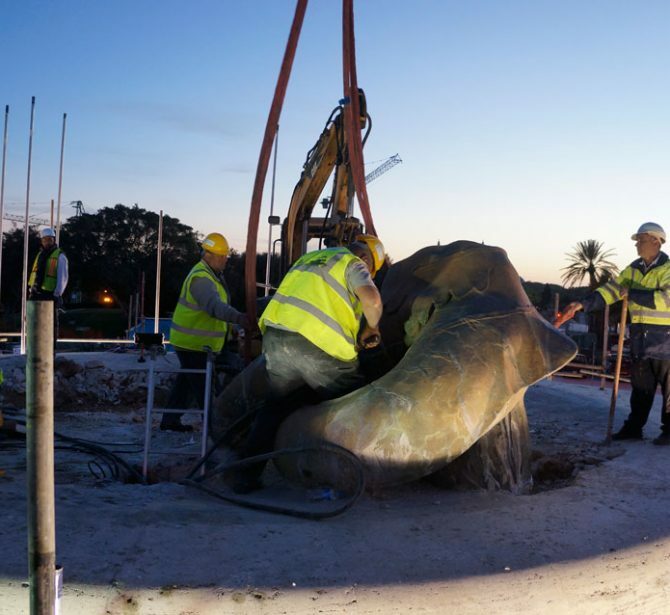 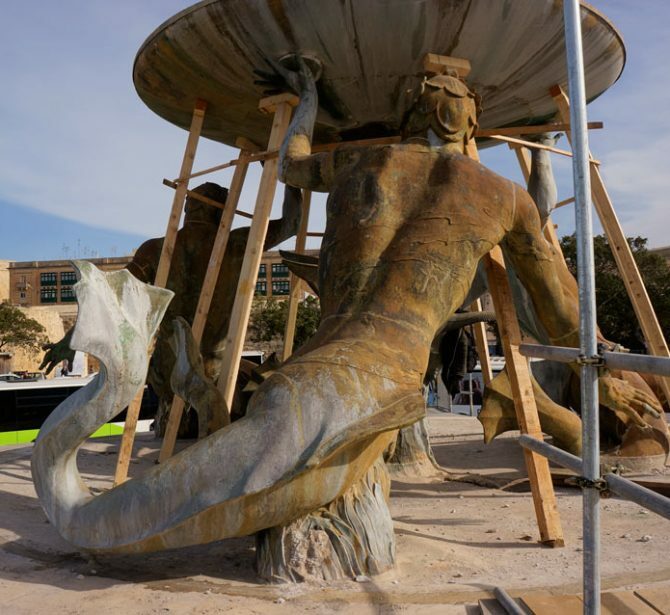 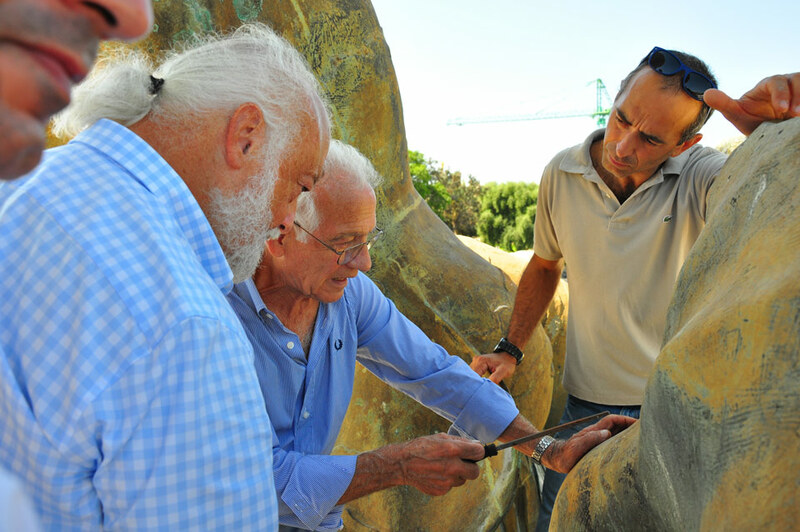 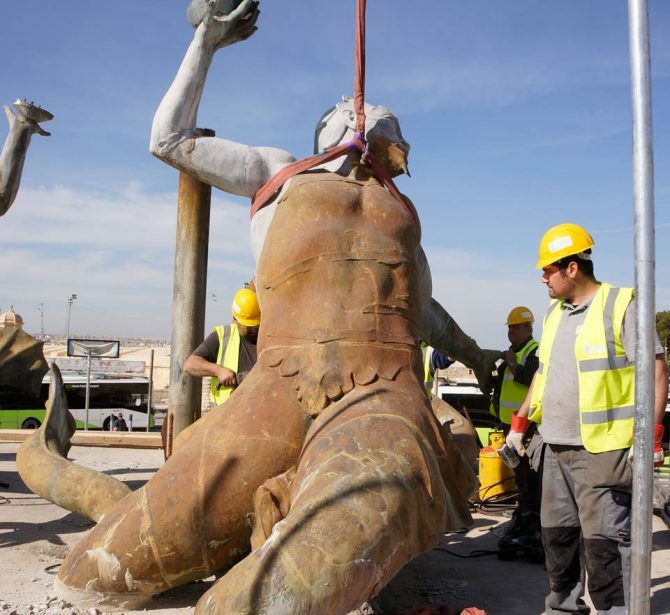 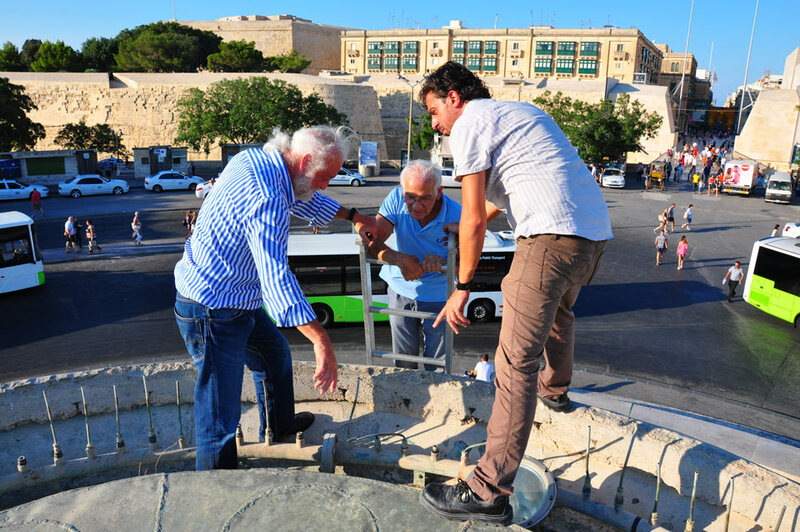 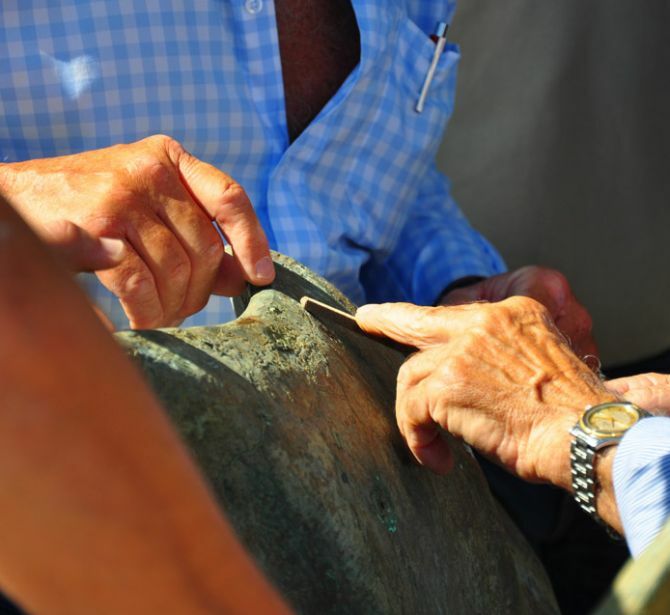 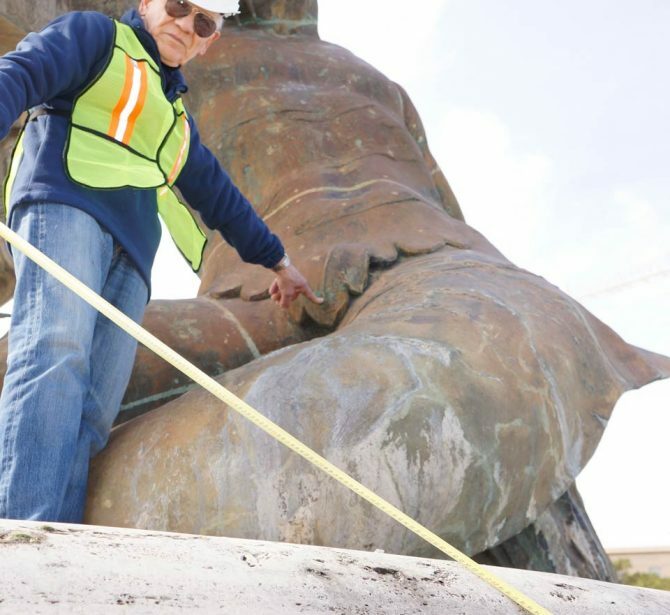 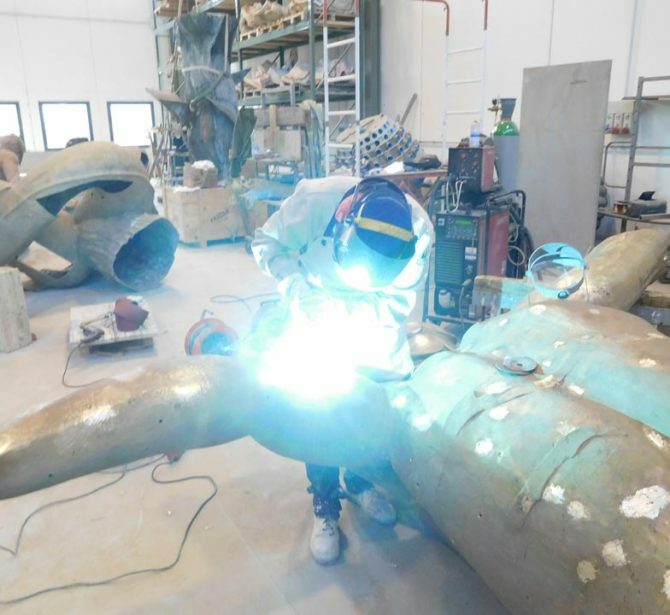 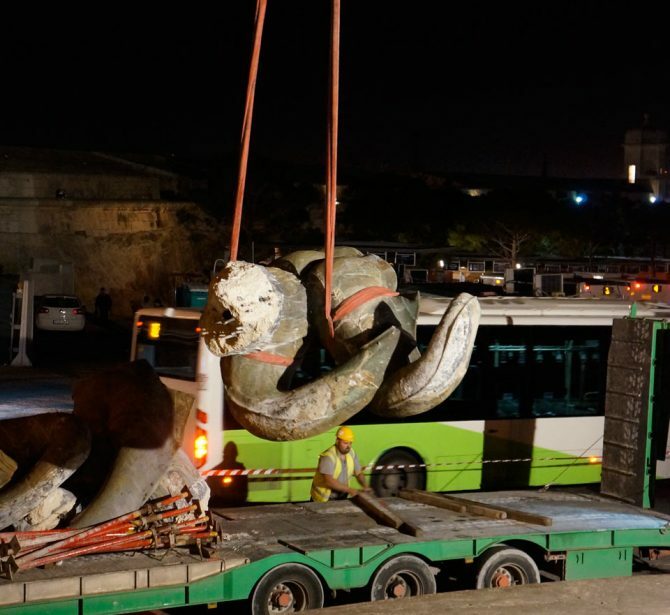 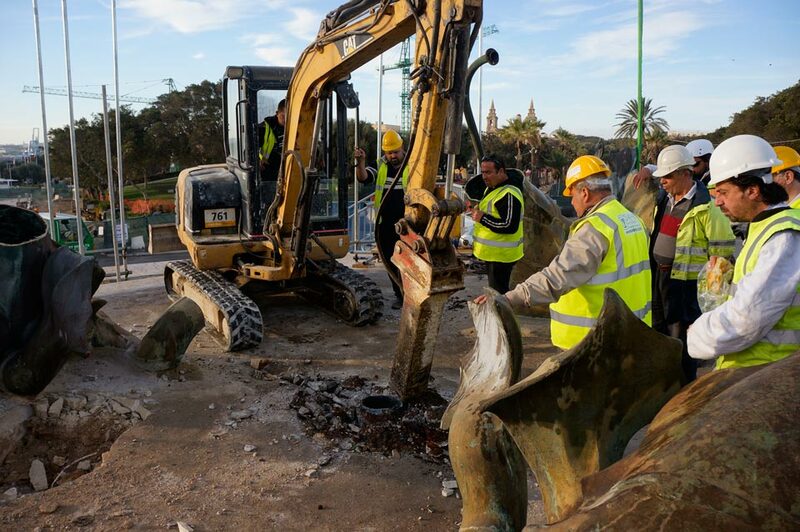 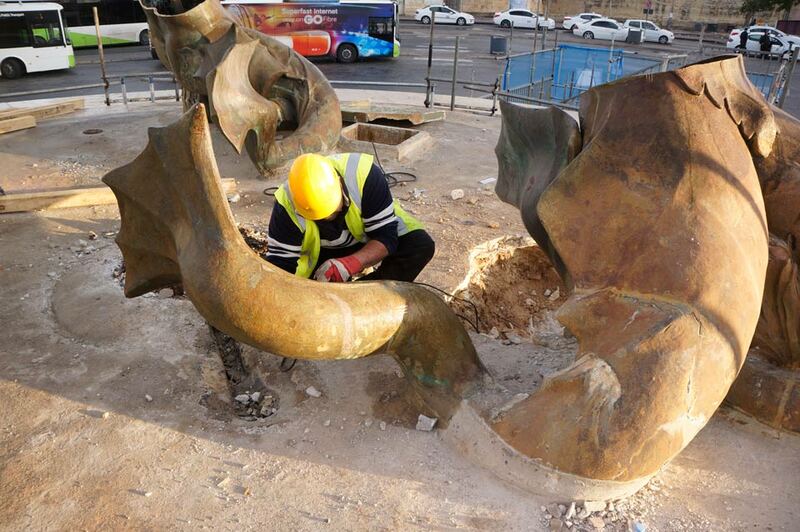 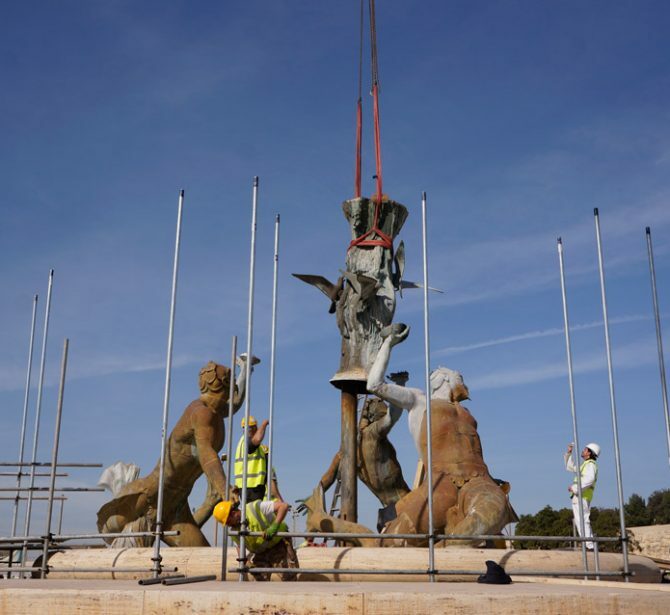 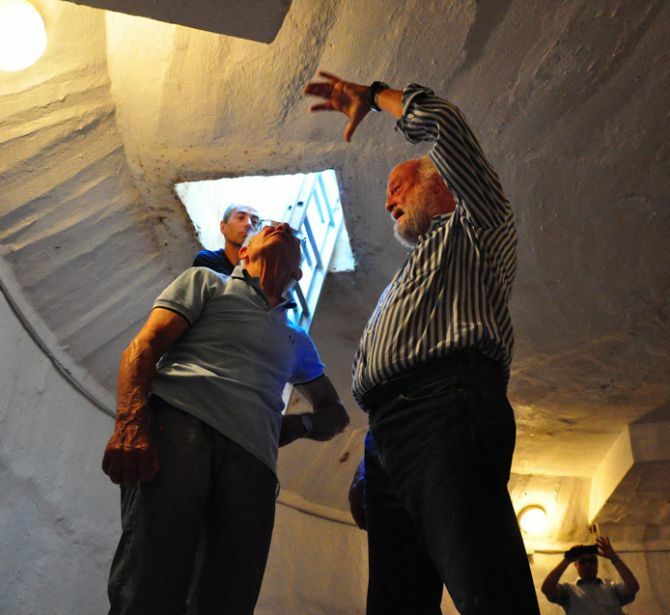 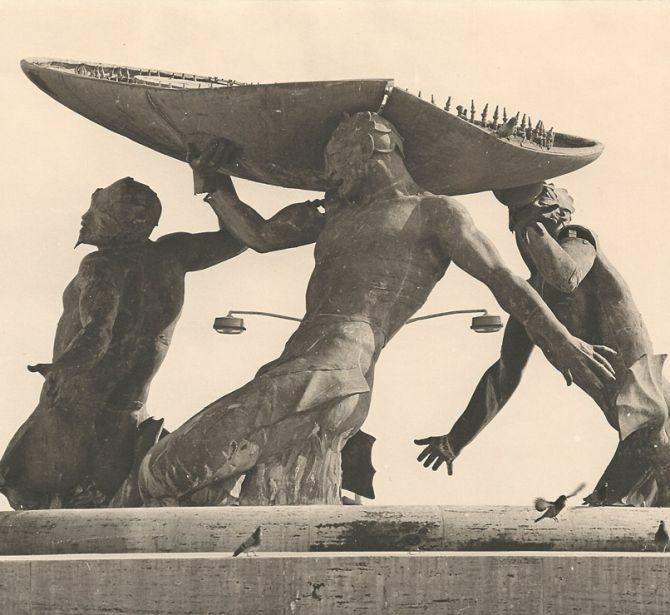 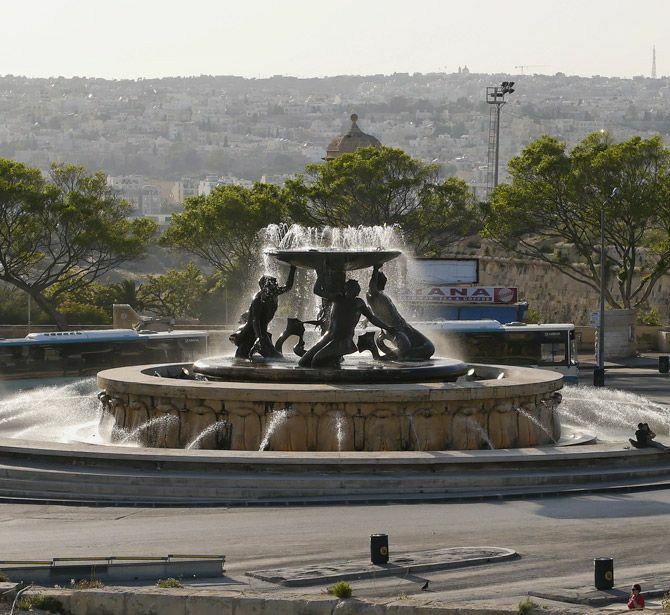 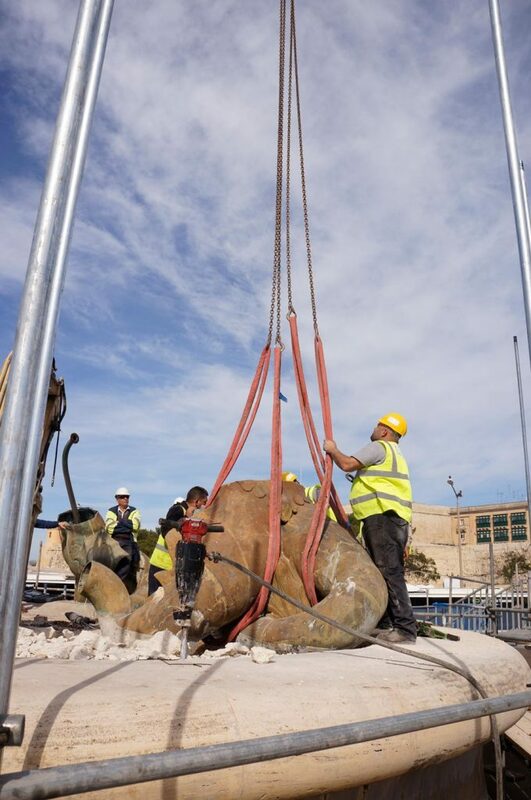 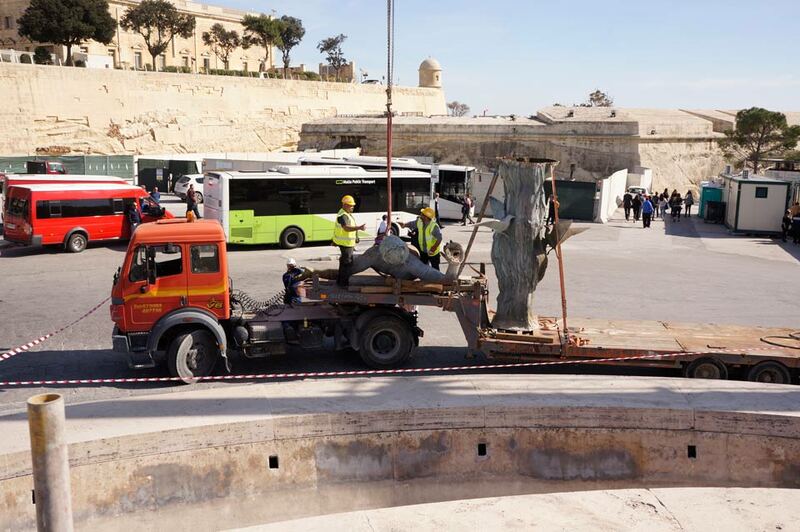 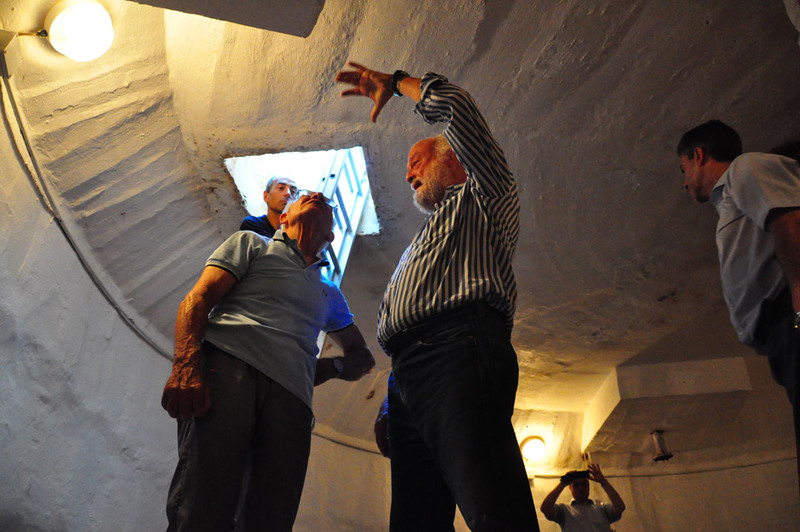 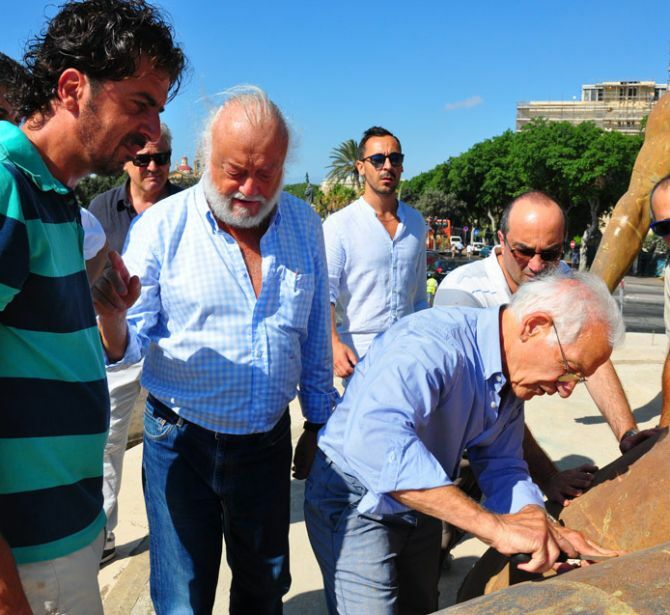 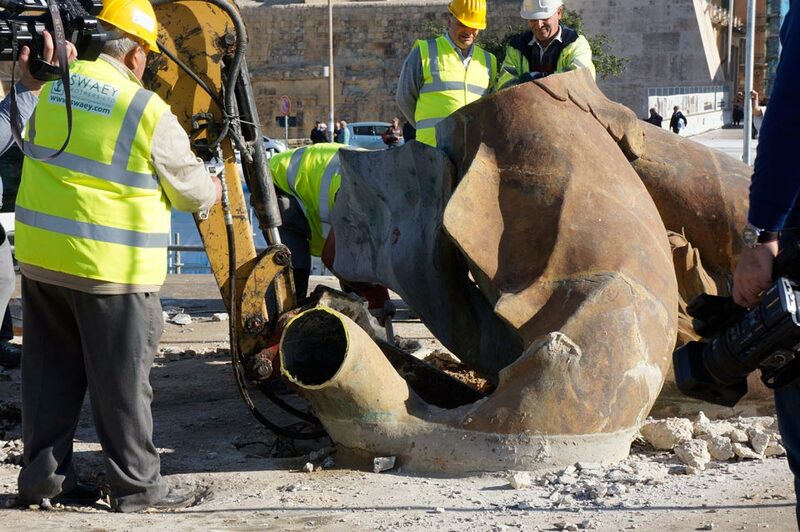 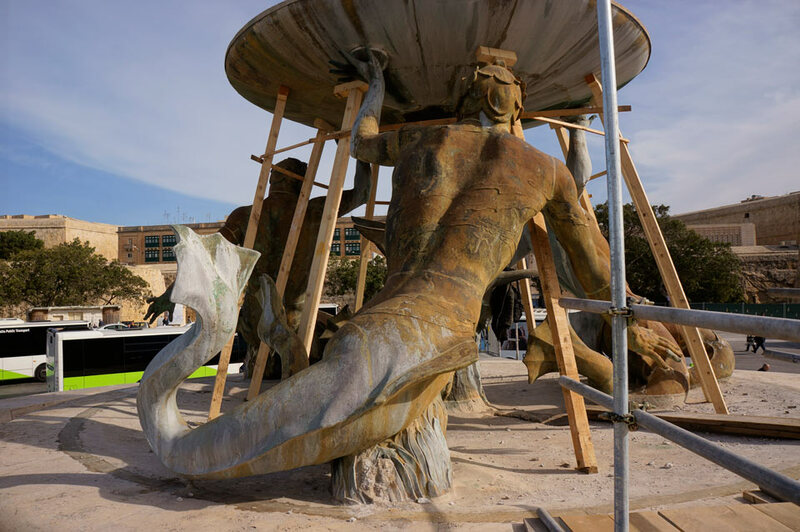 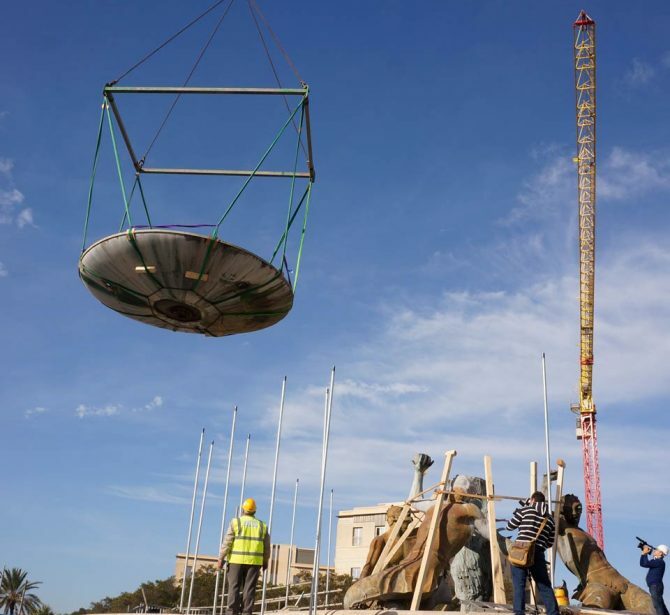 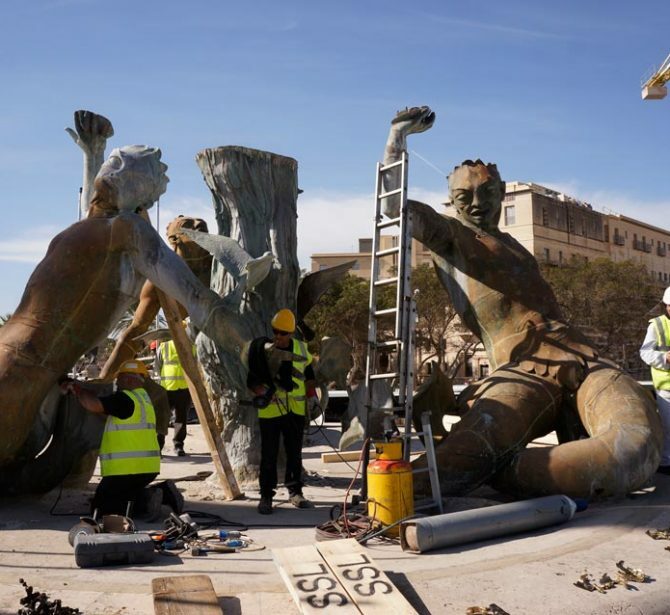 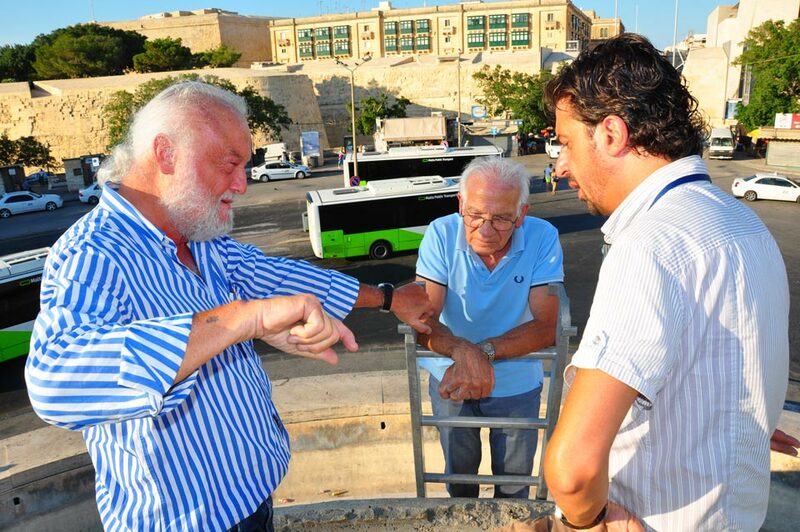 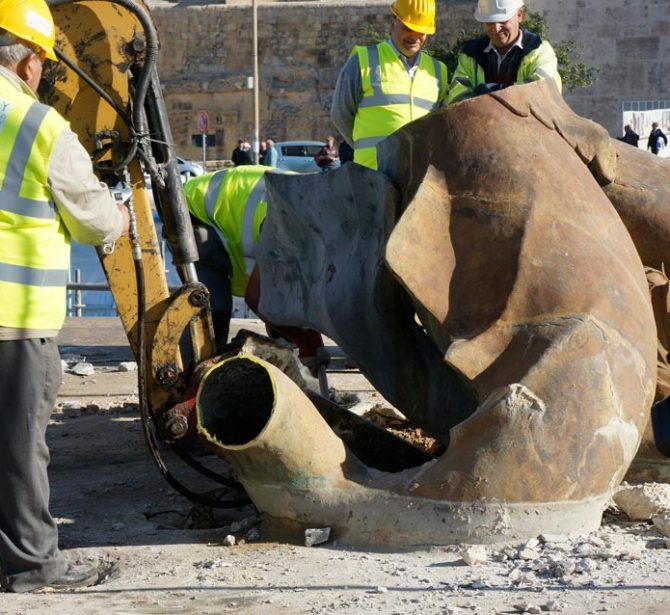 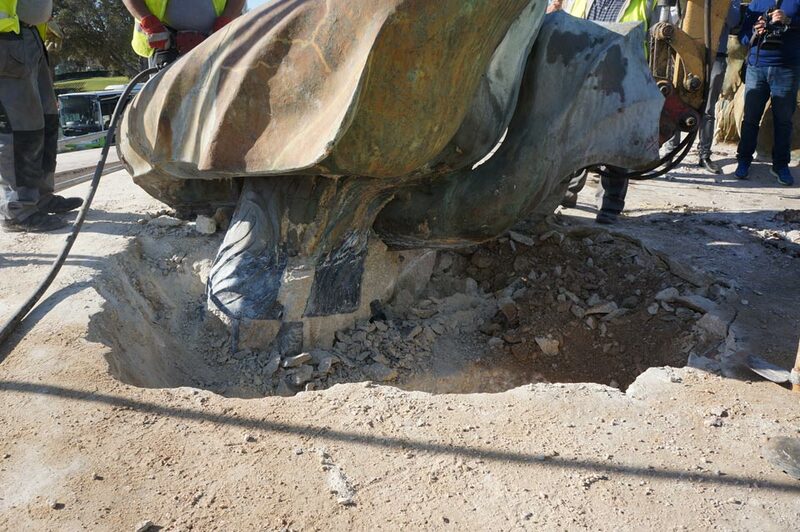 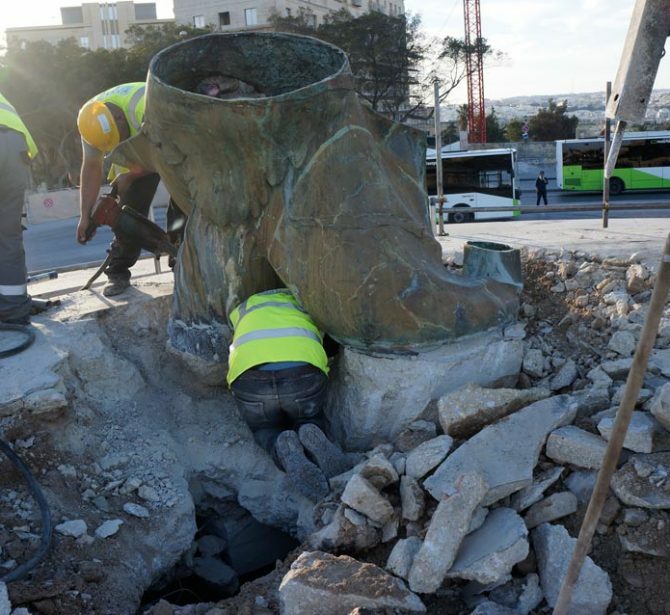 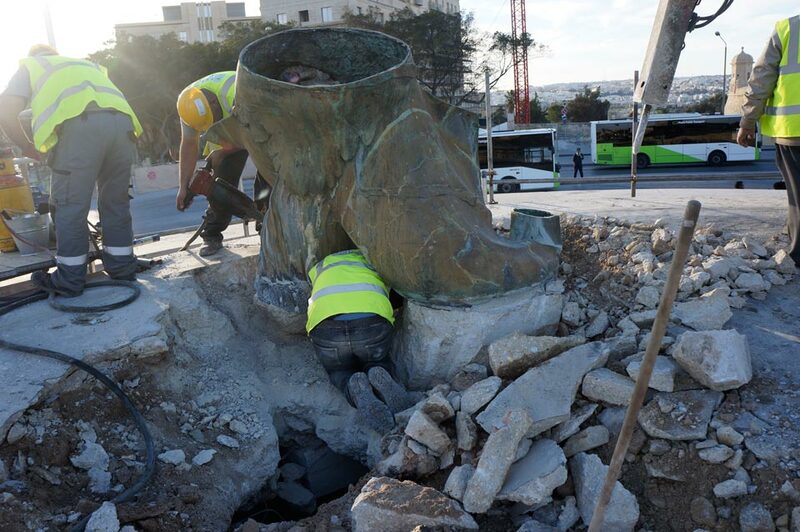 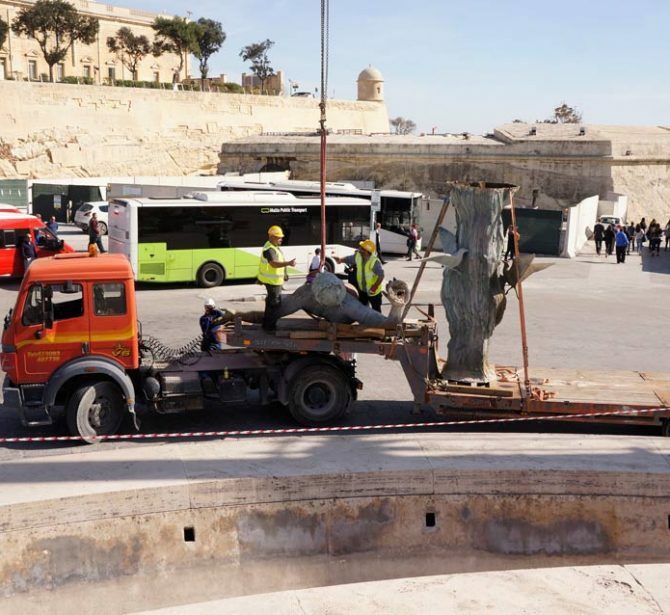 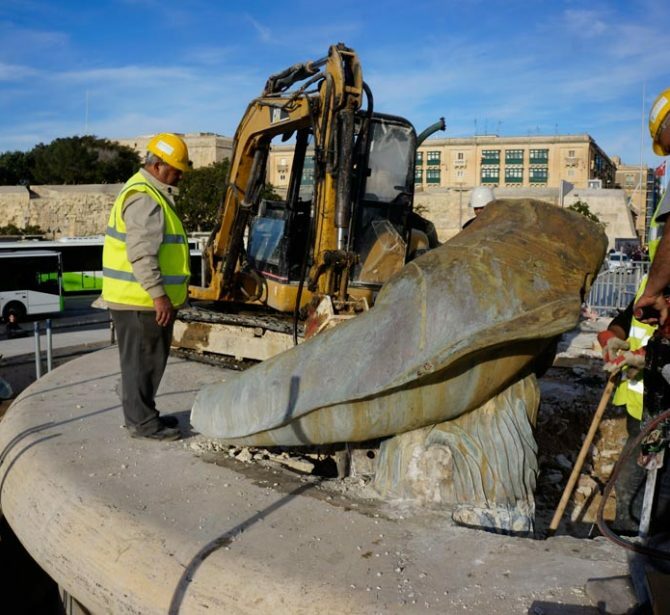 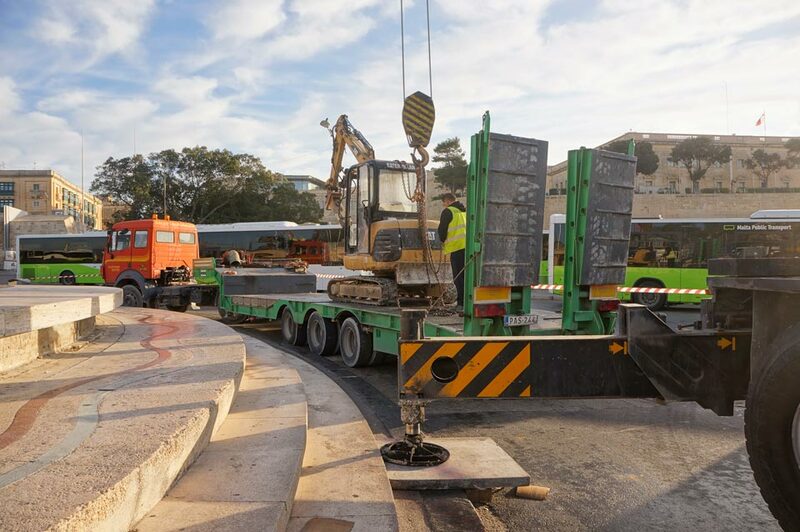 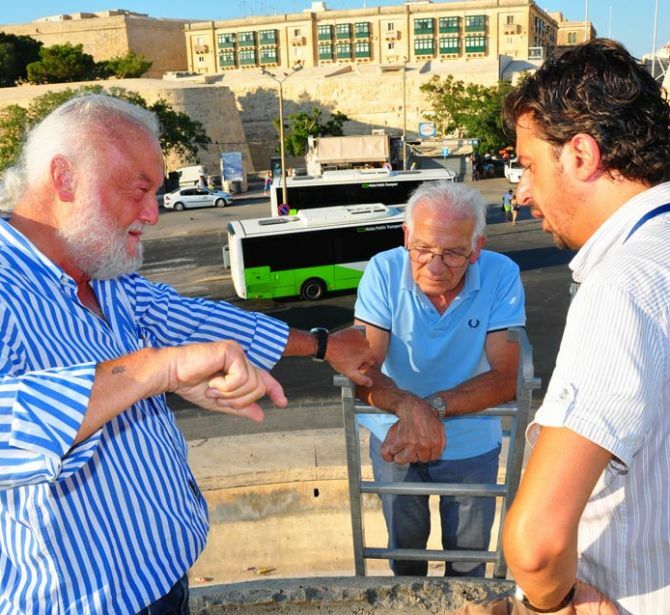 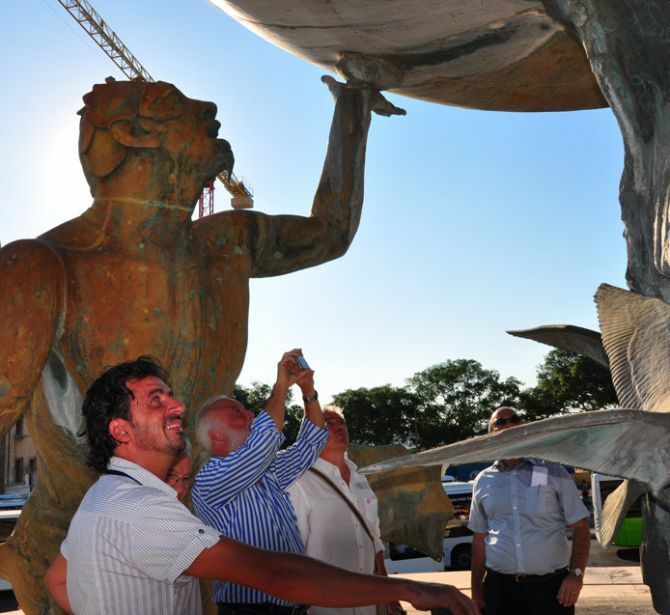 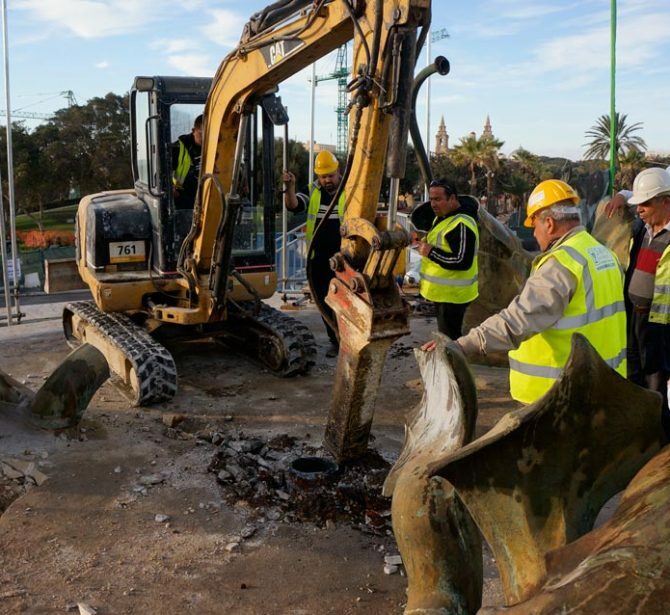 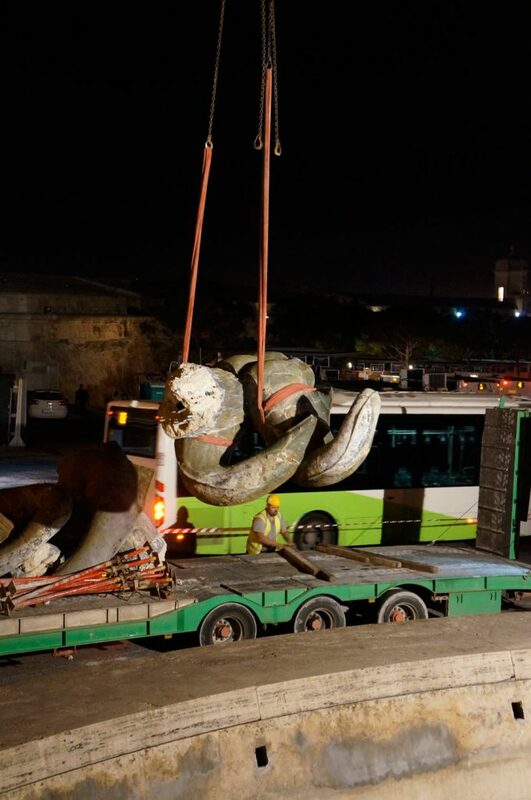 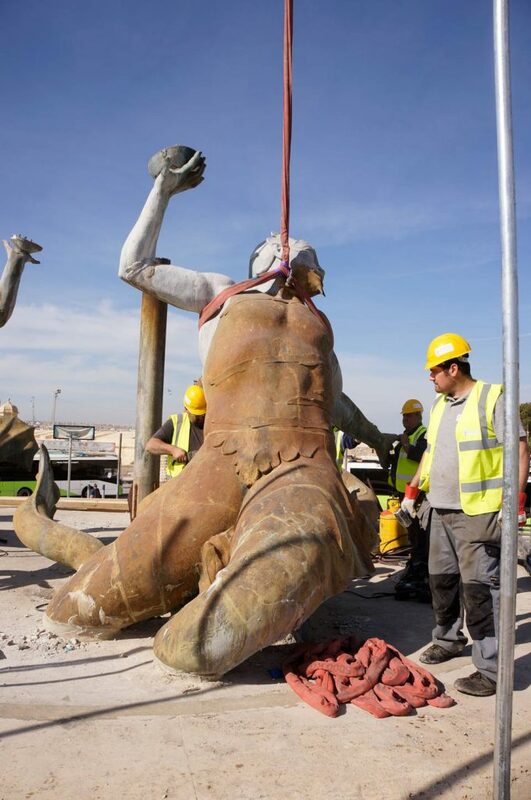 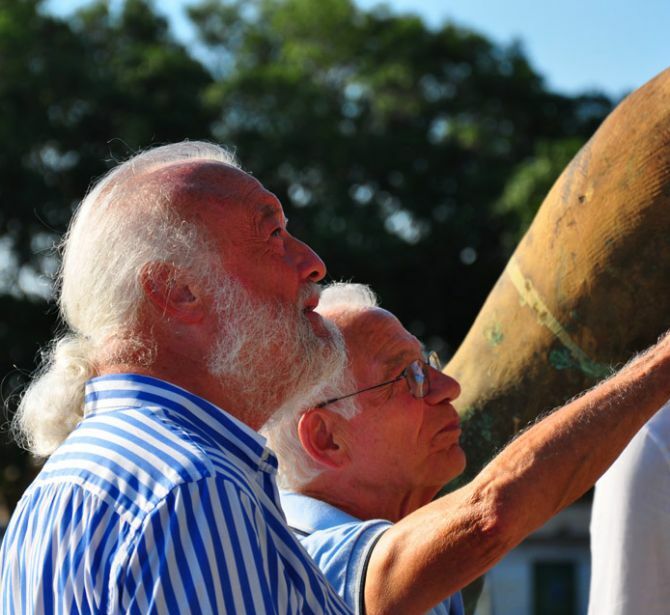 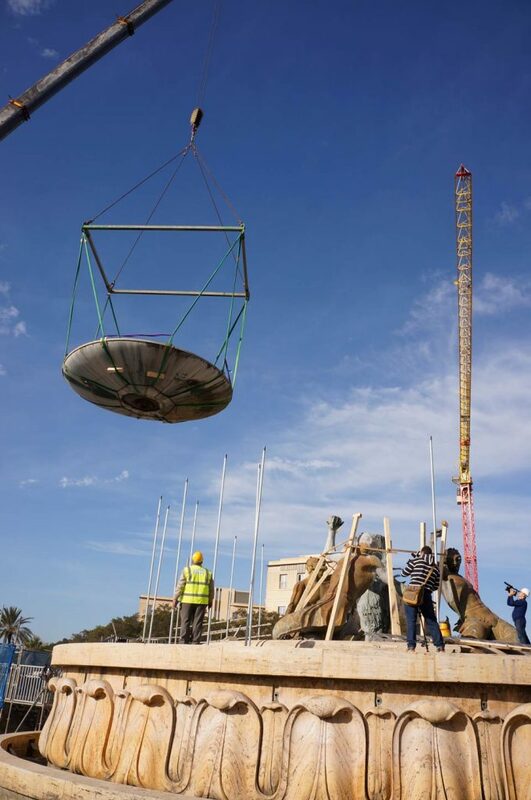 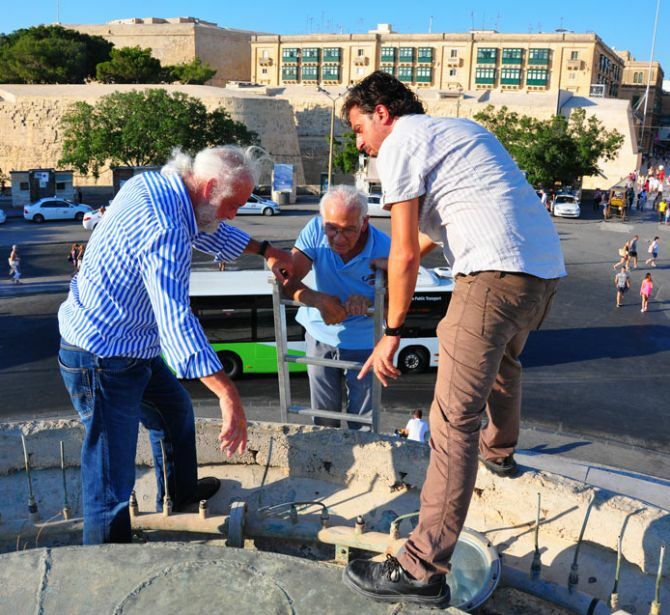 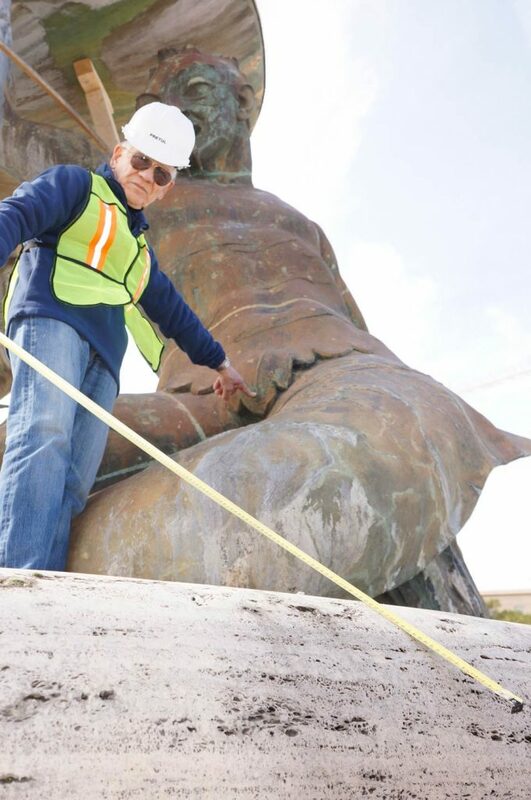 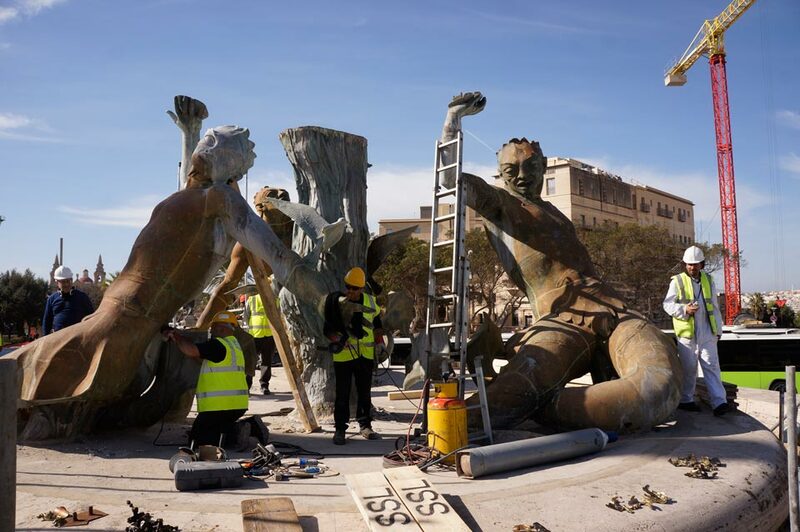 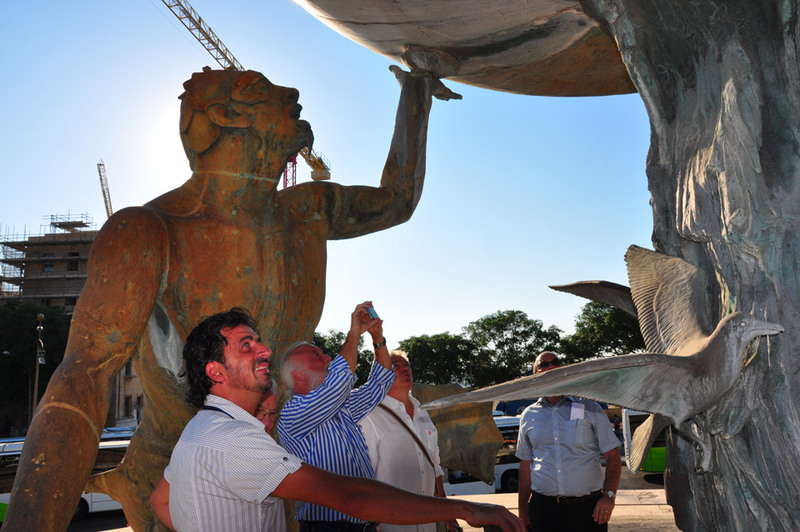 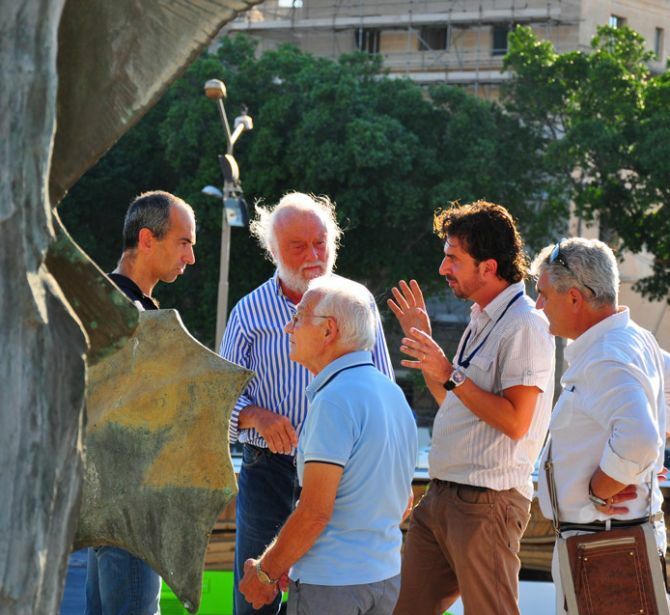 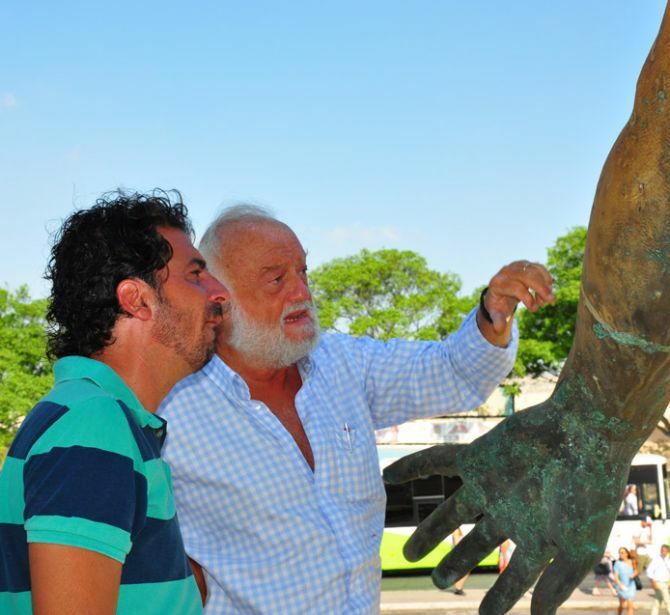 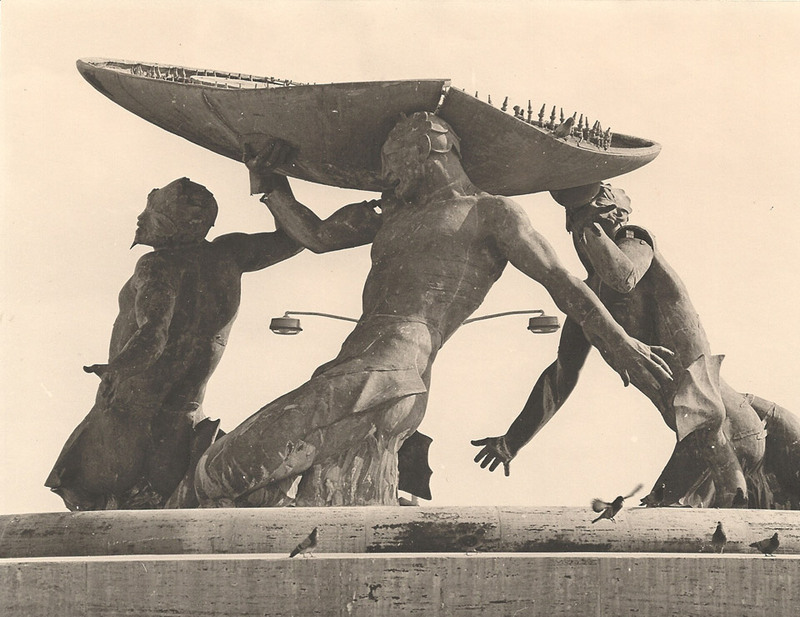 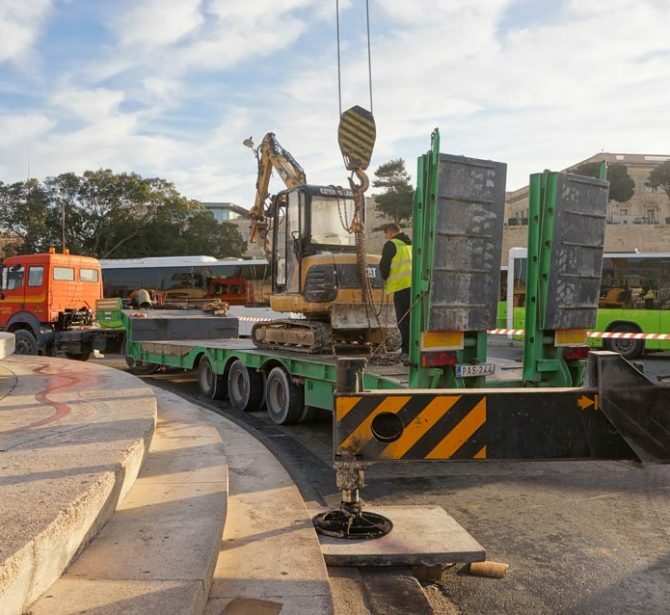 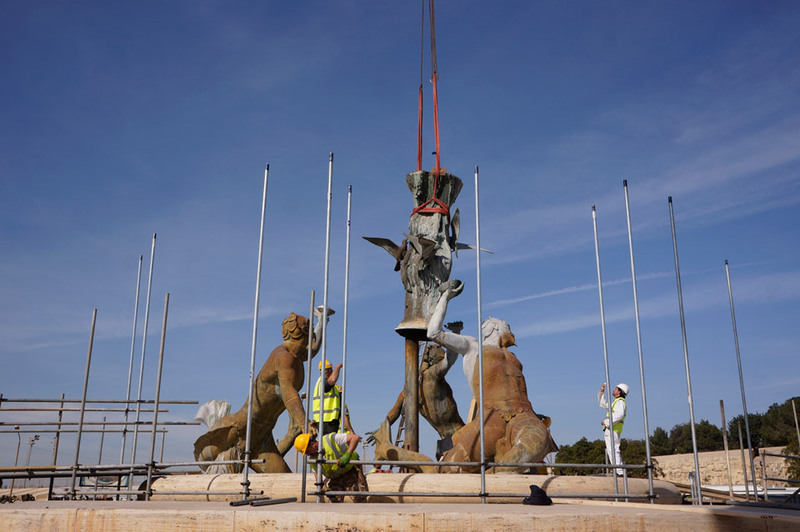 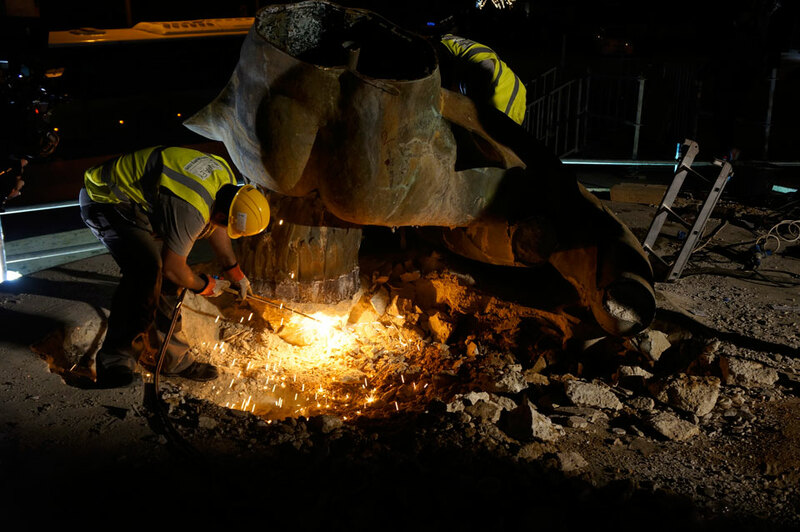 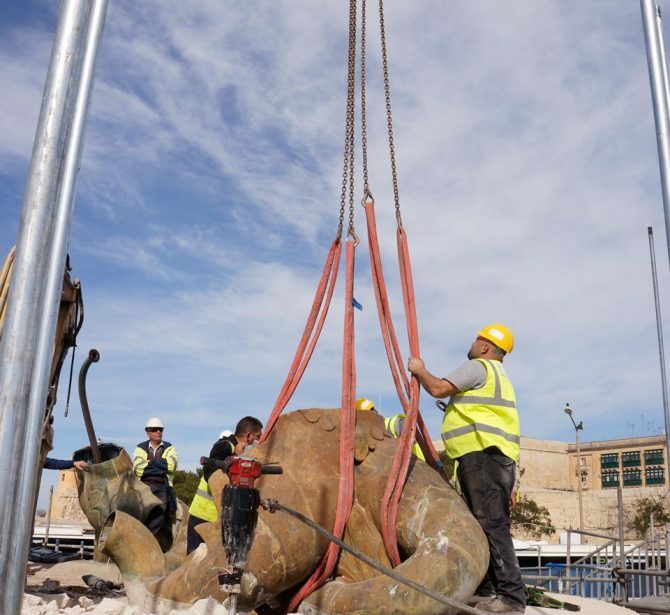 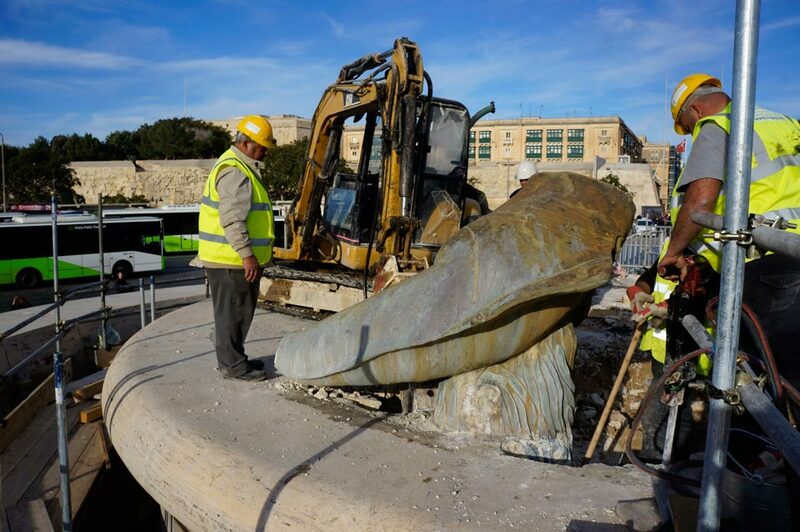 As part of the urban redevelopment of the whole “Triton Square” the Government of Malta has requested a study on the possibility of a complete restoration of the “Tritons’ Fountain” placed in the middle of the square. 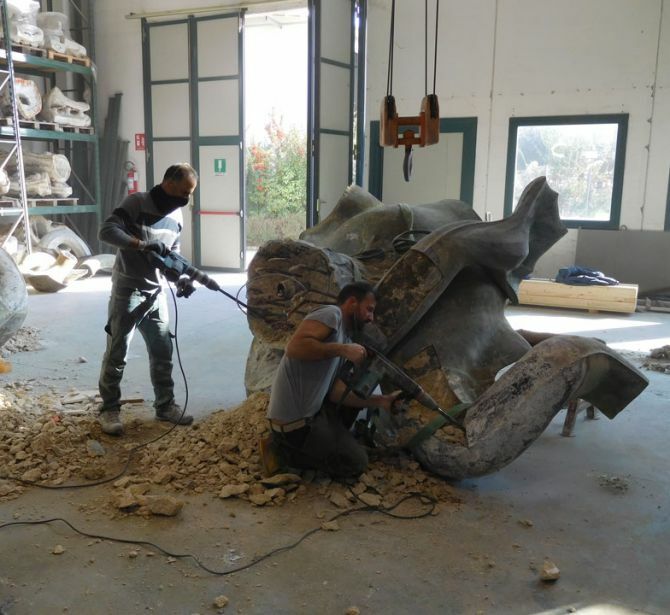 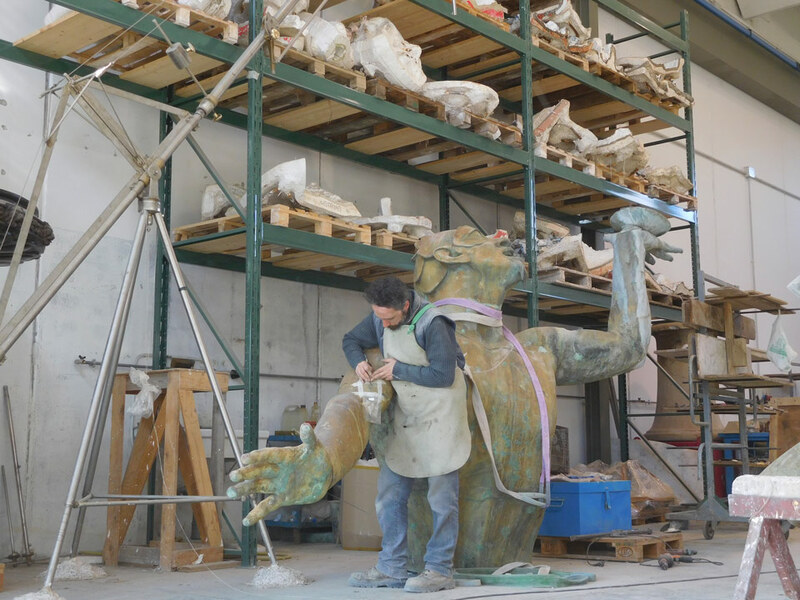 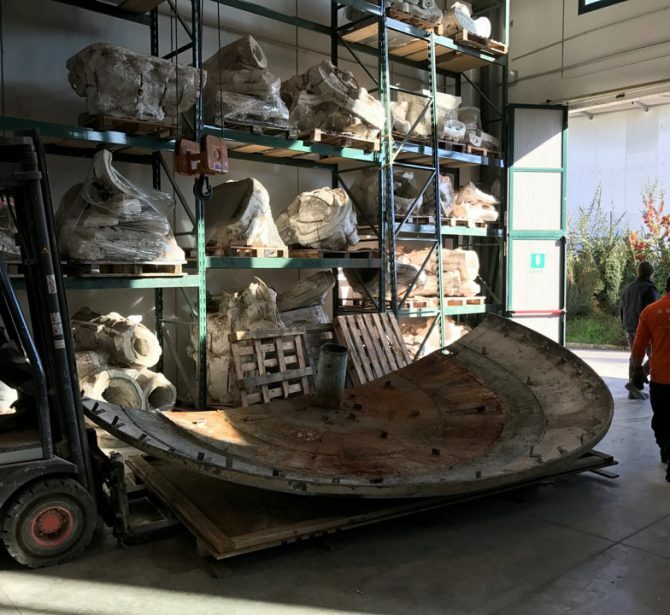 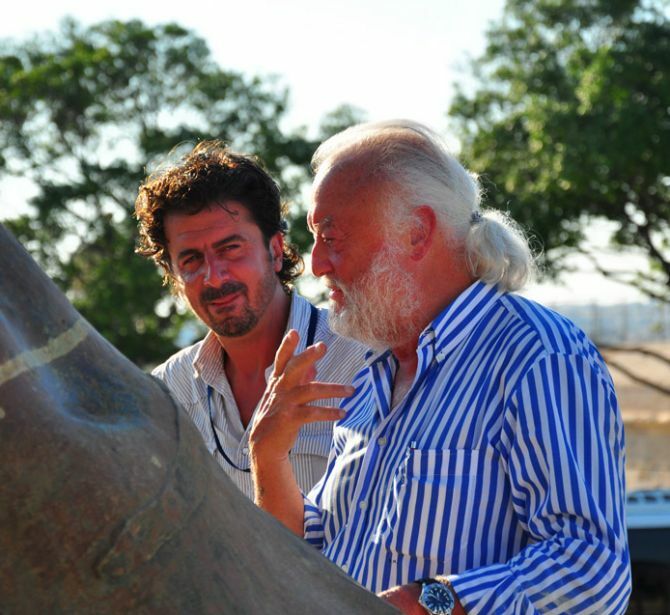 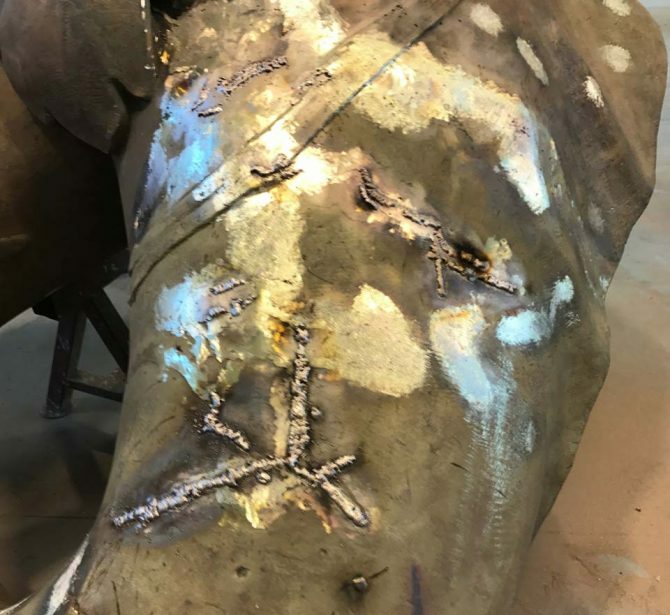 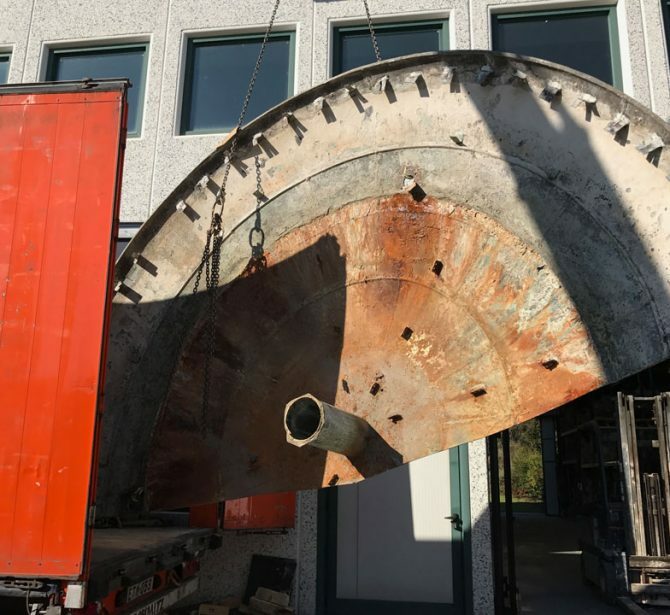 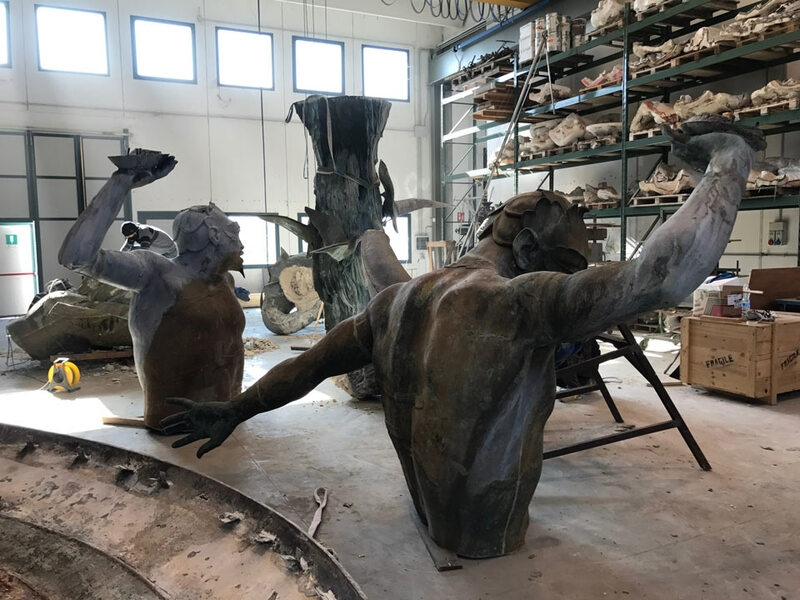 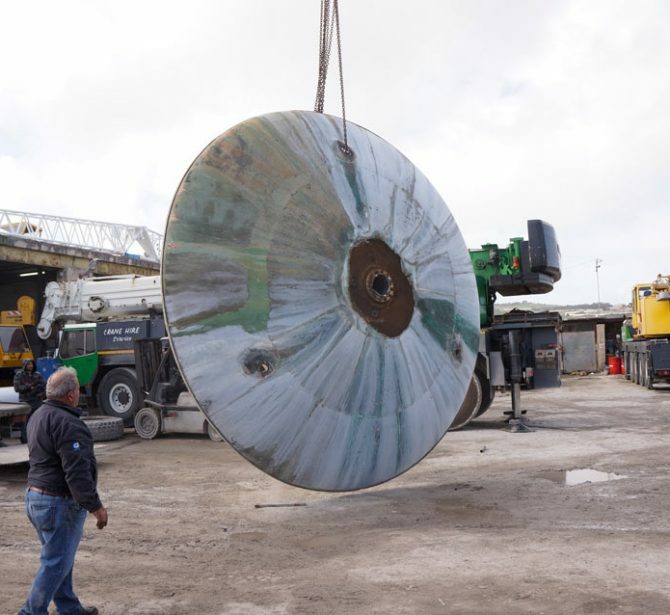 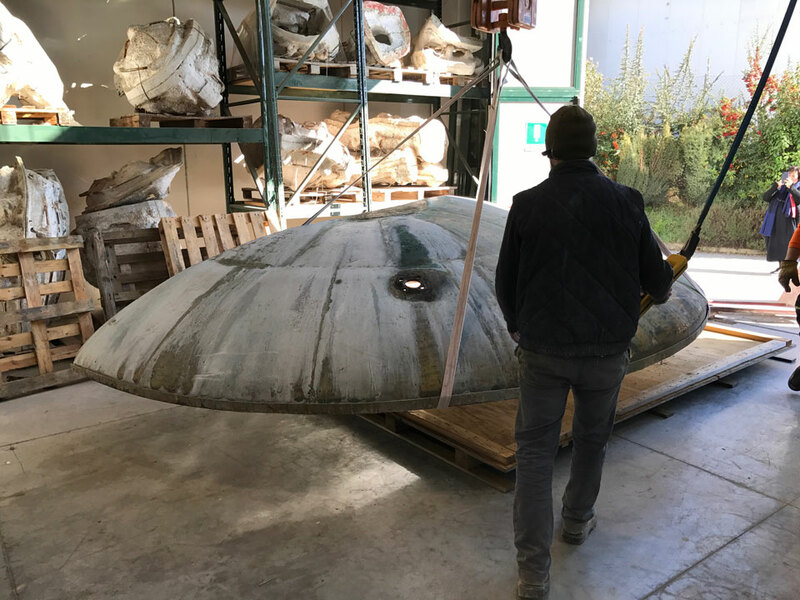 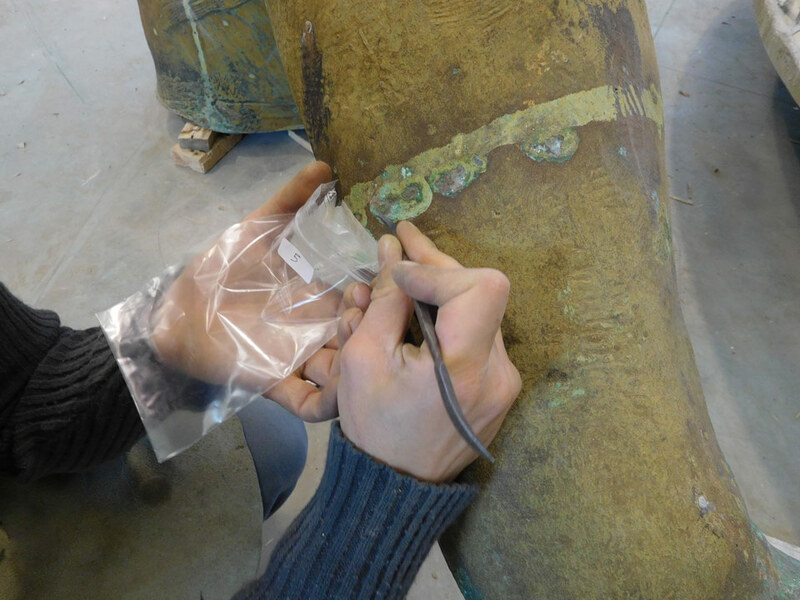 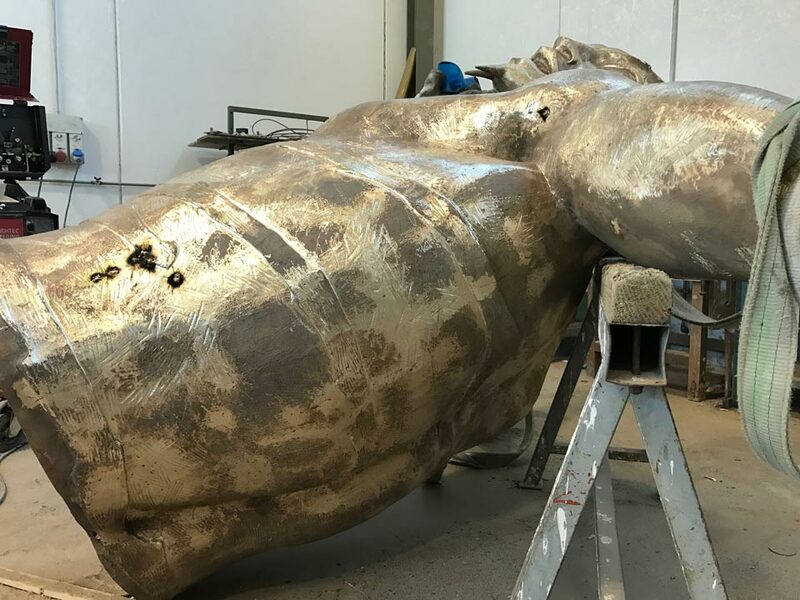 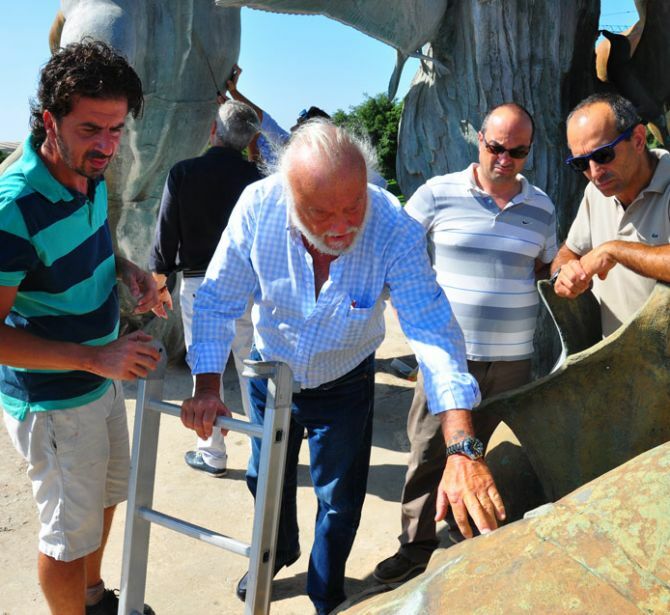 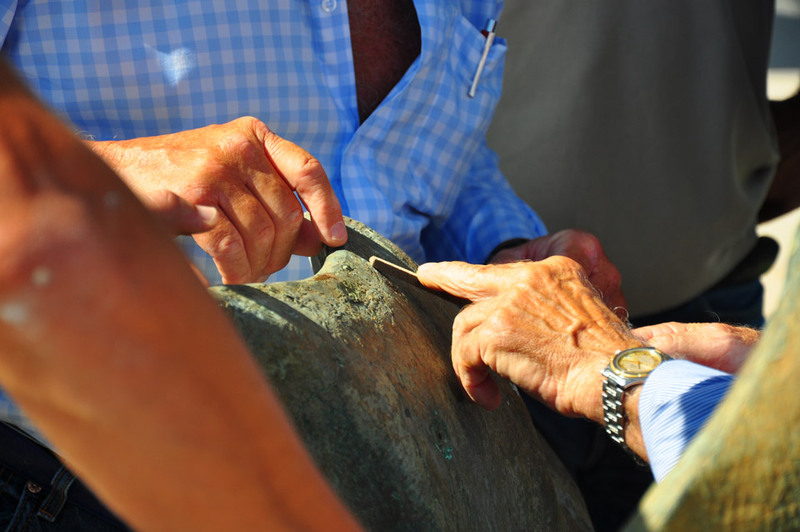 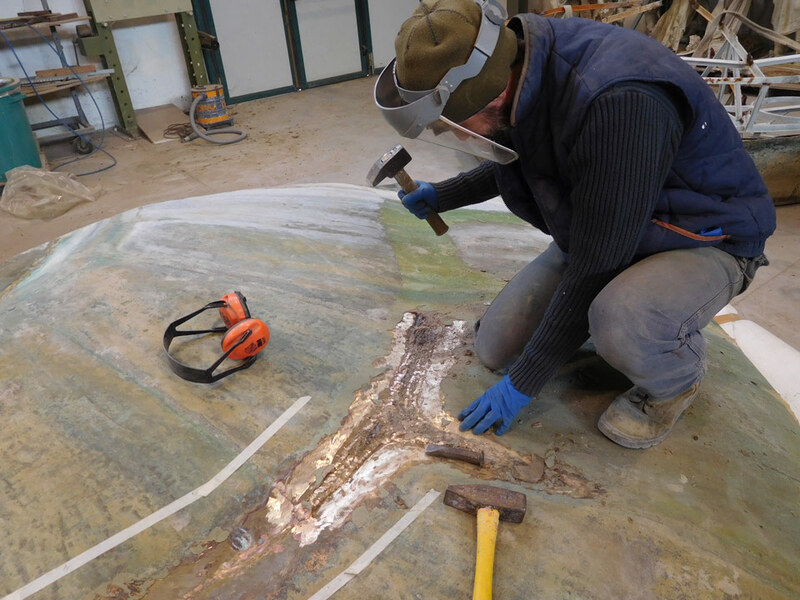 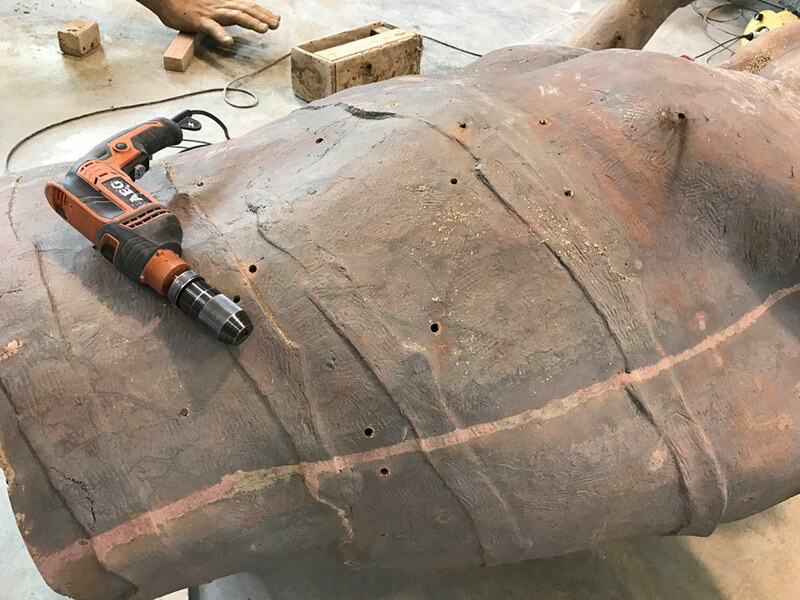 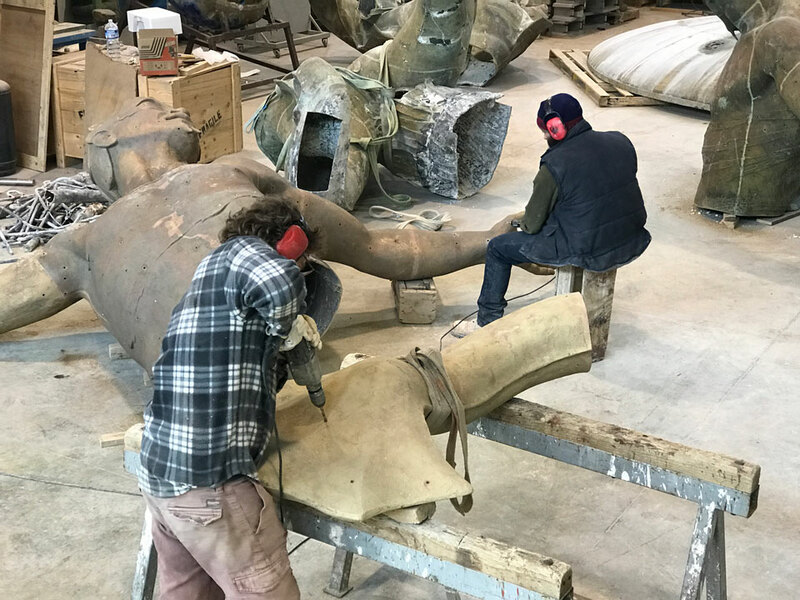 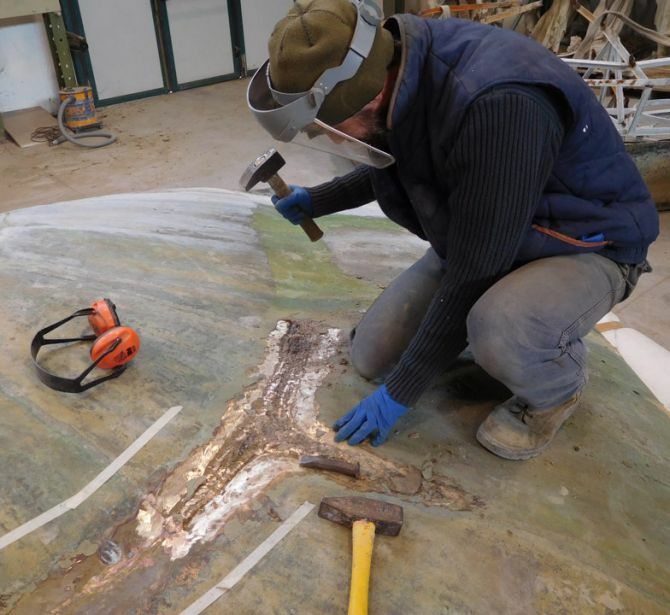 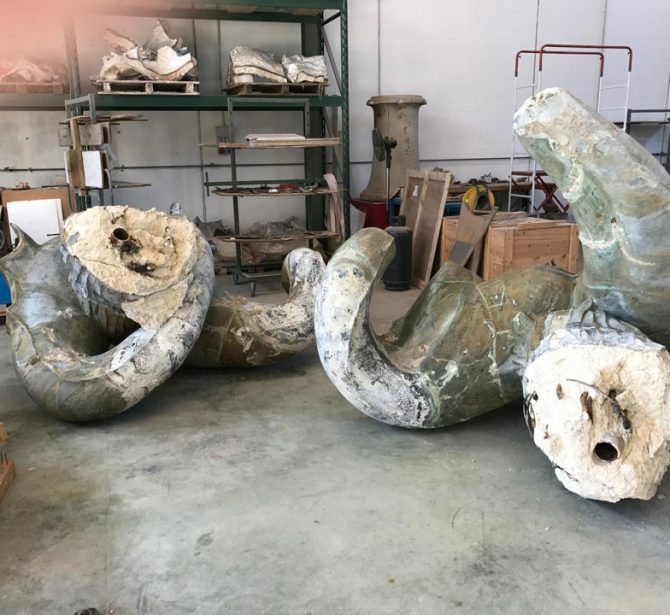 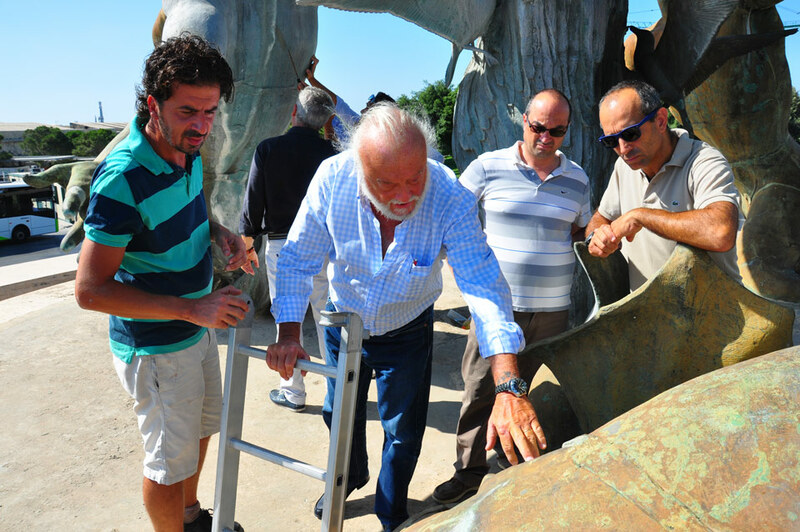 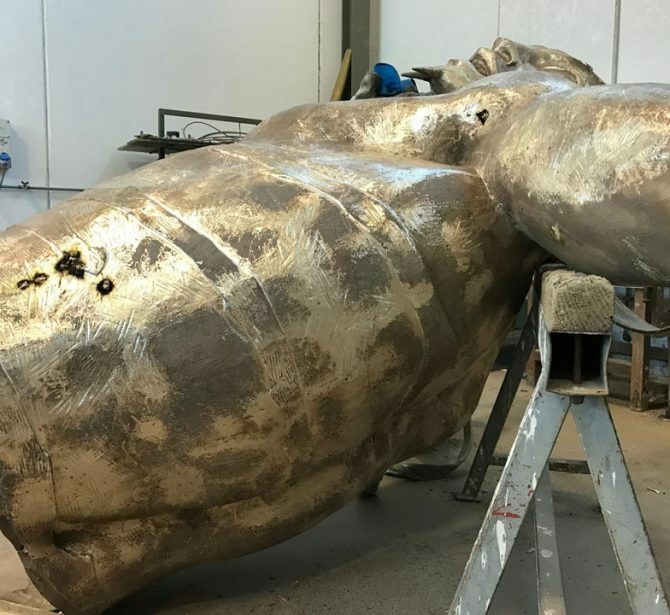 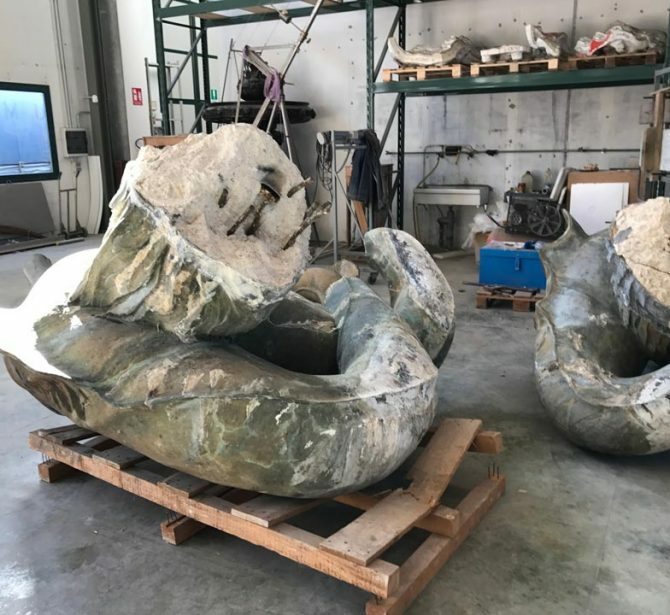 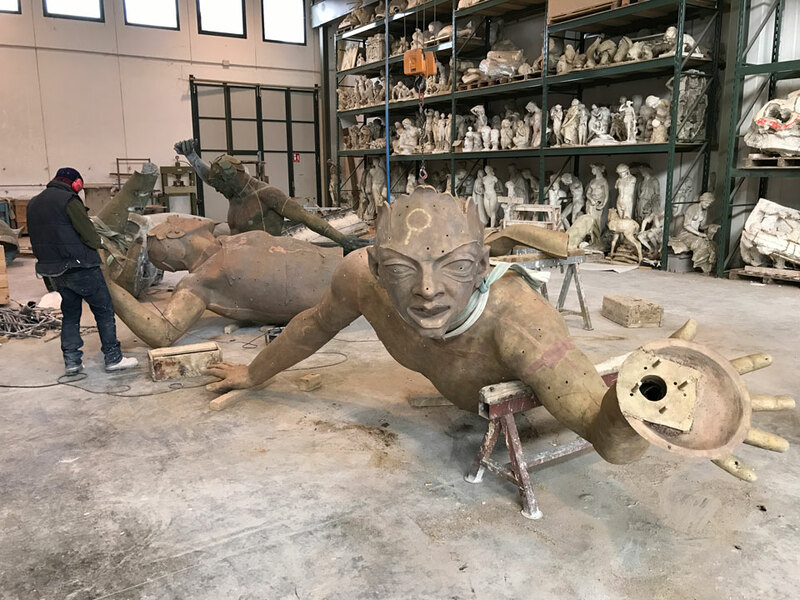 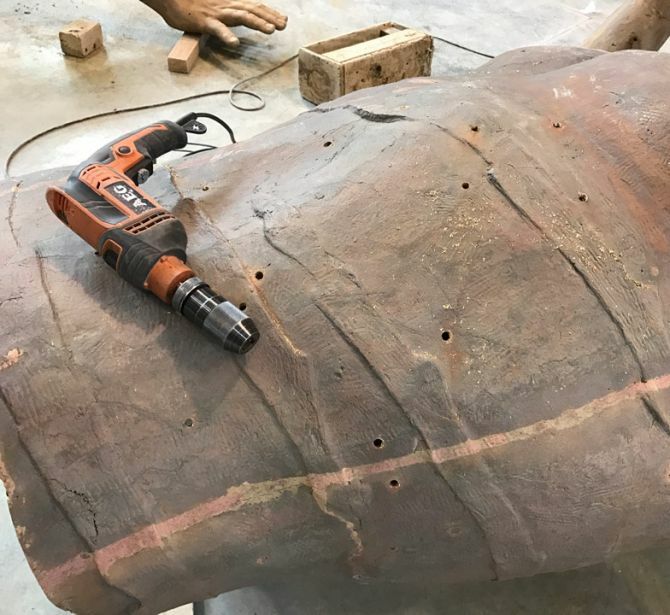 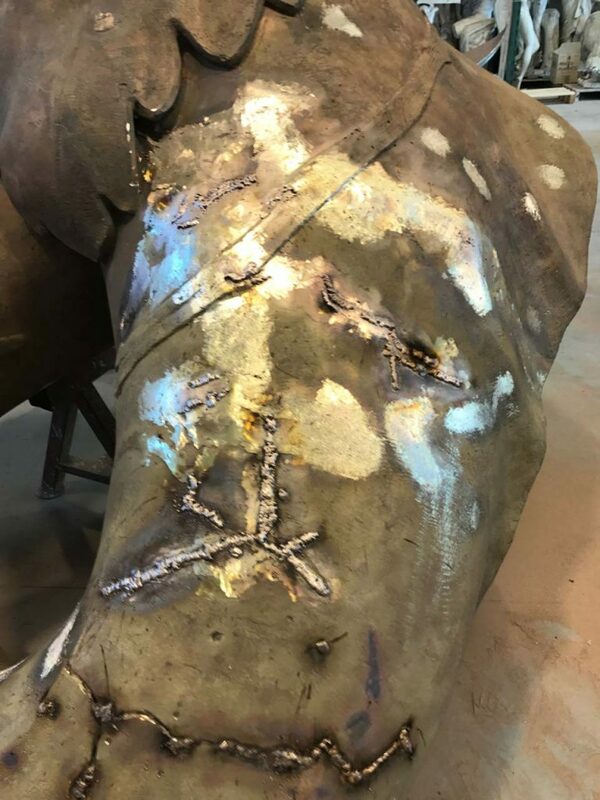 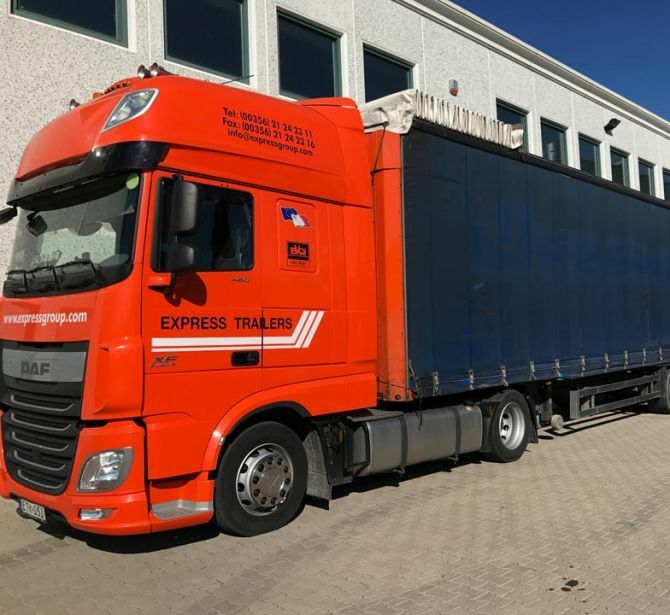 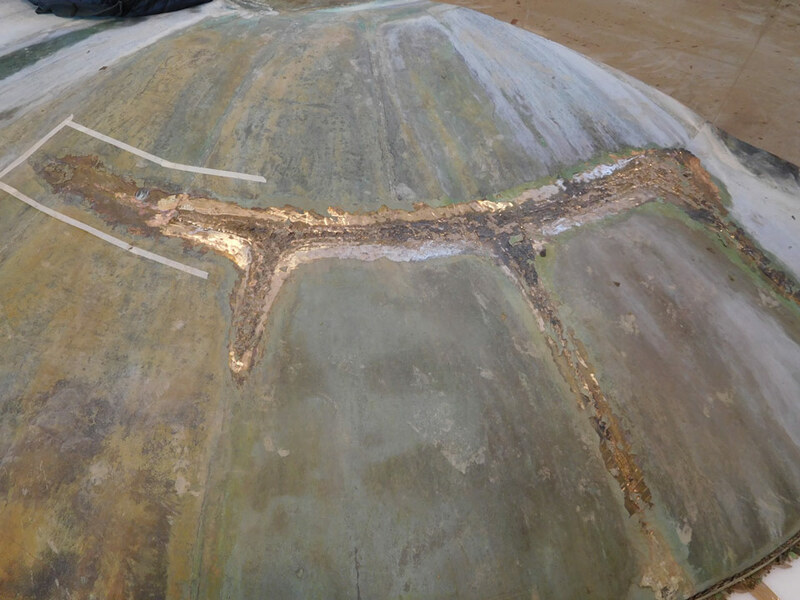 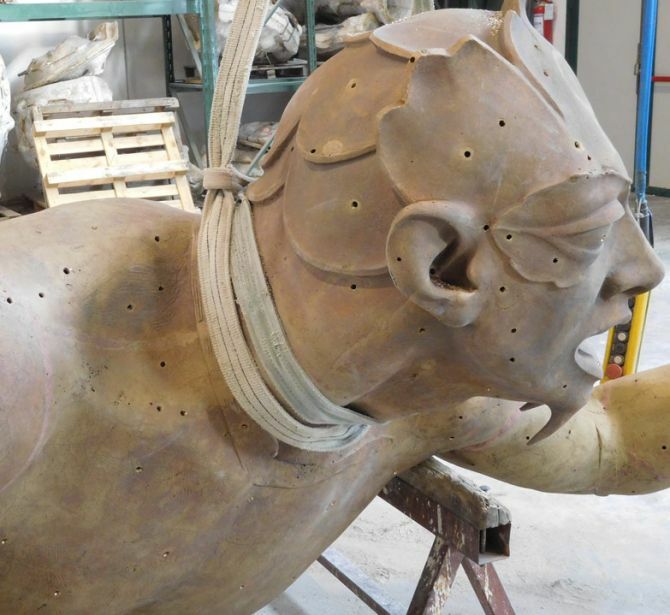 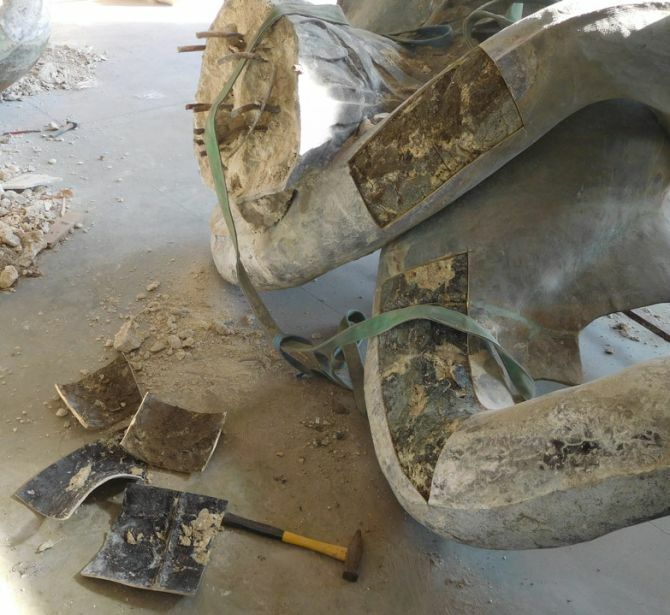 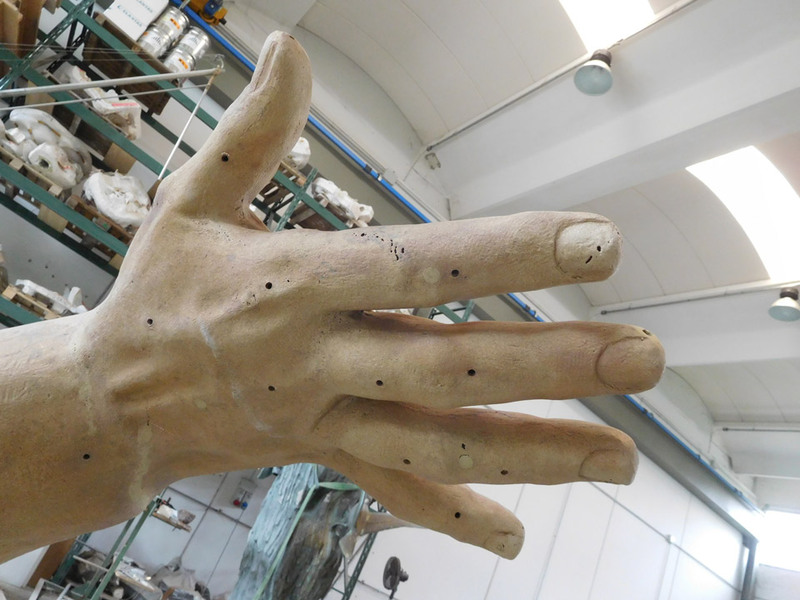 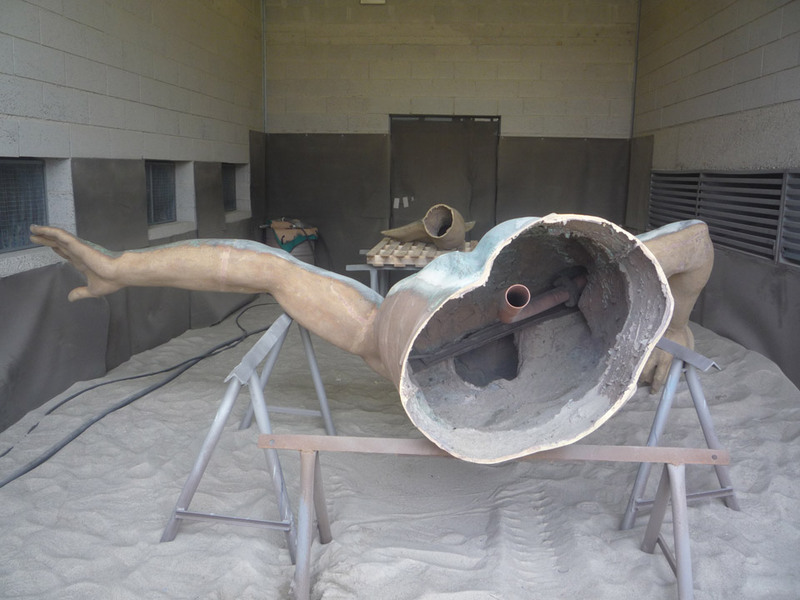 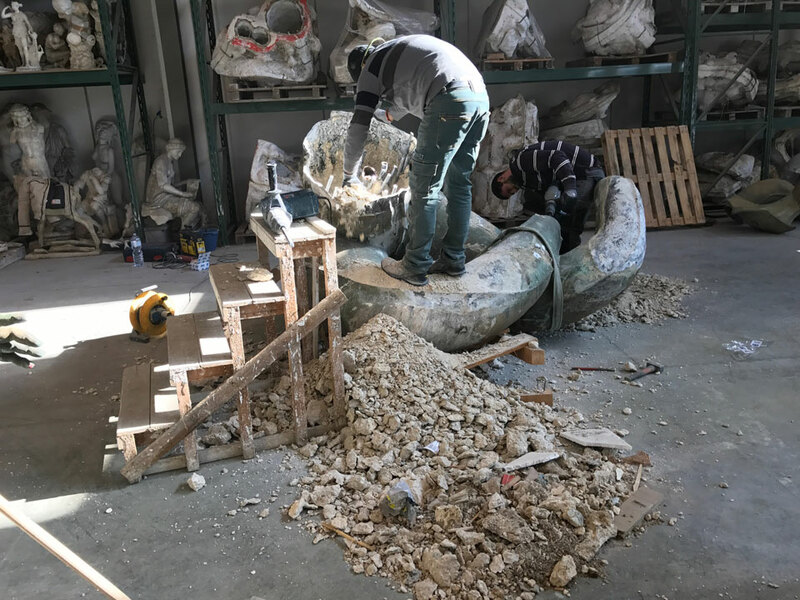 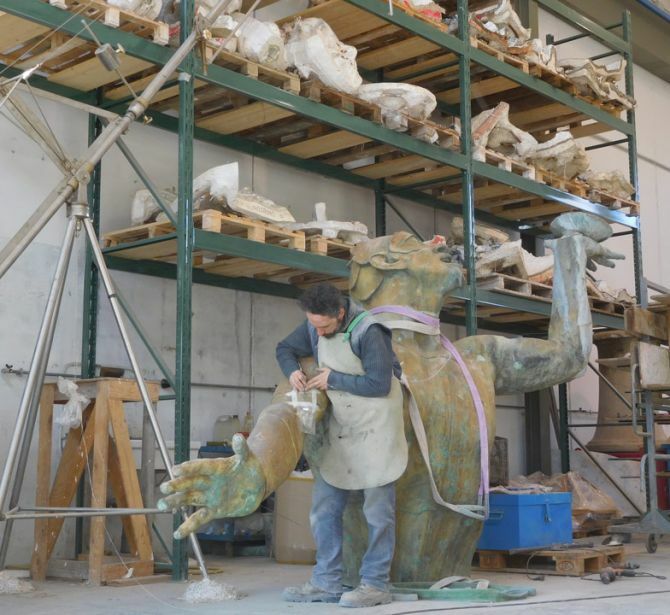 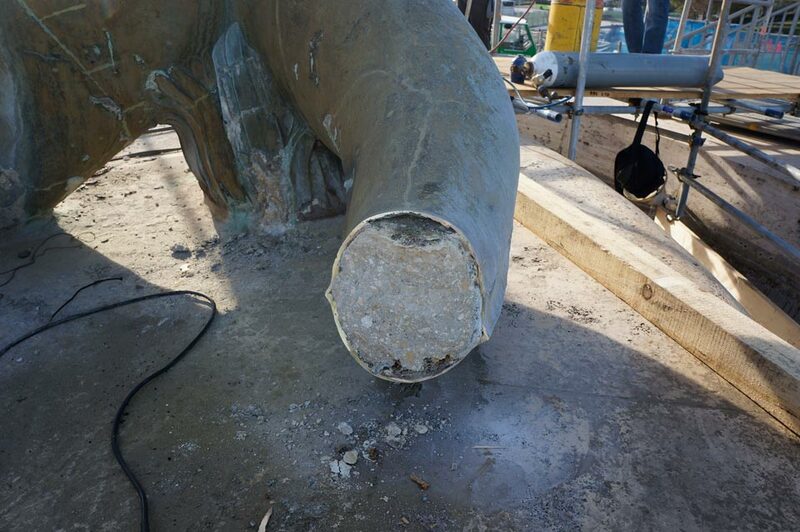 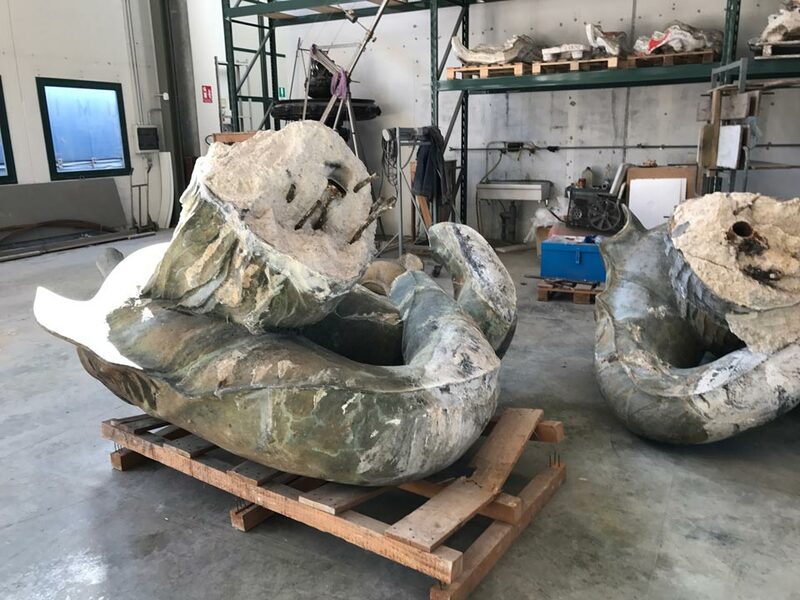 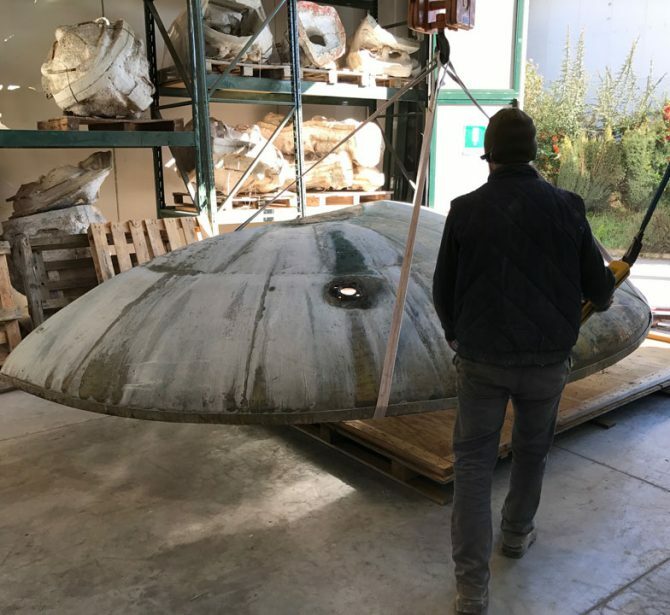 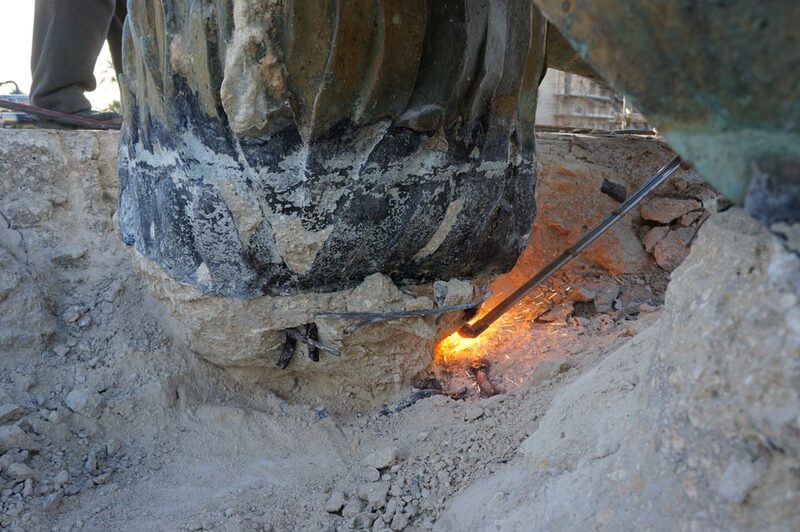 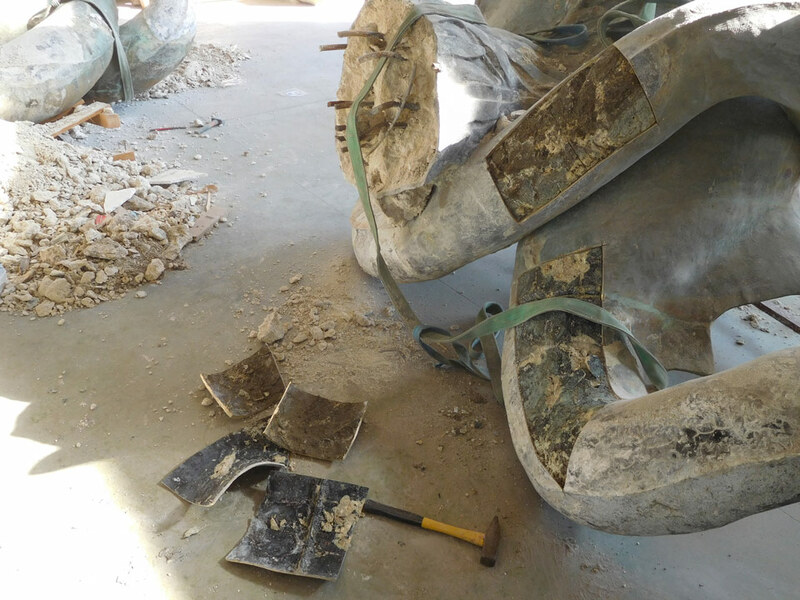 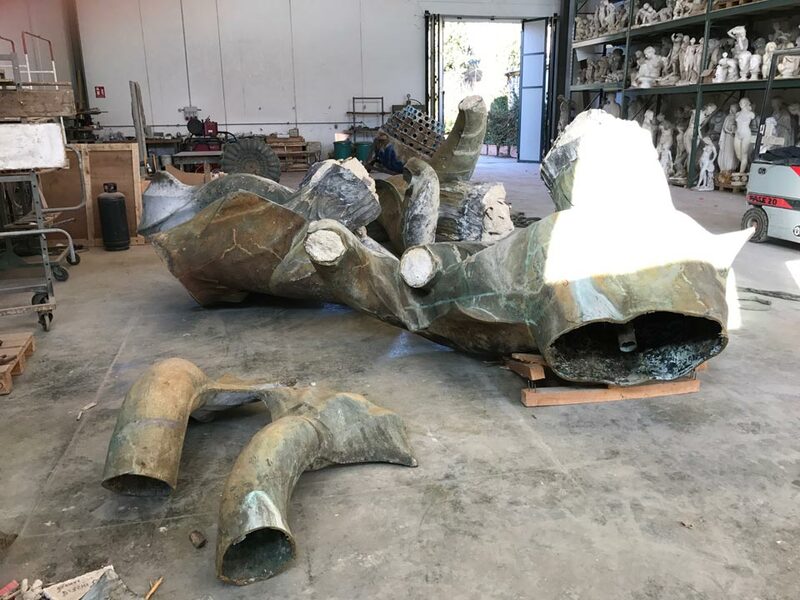 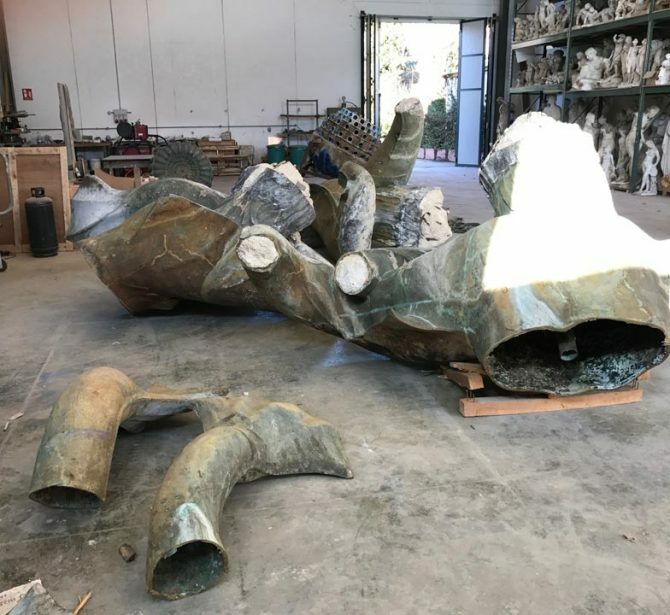 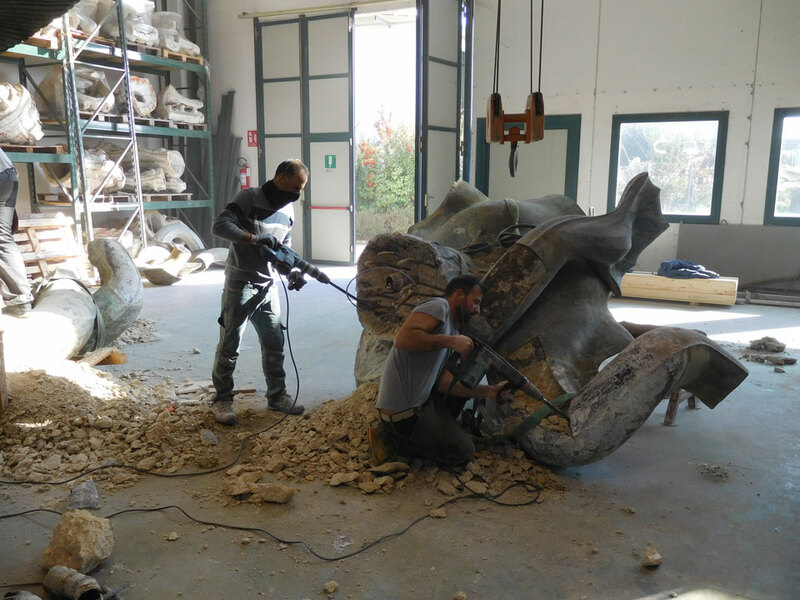 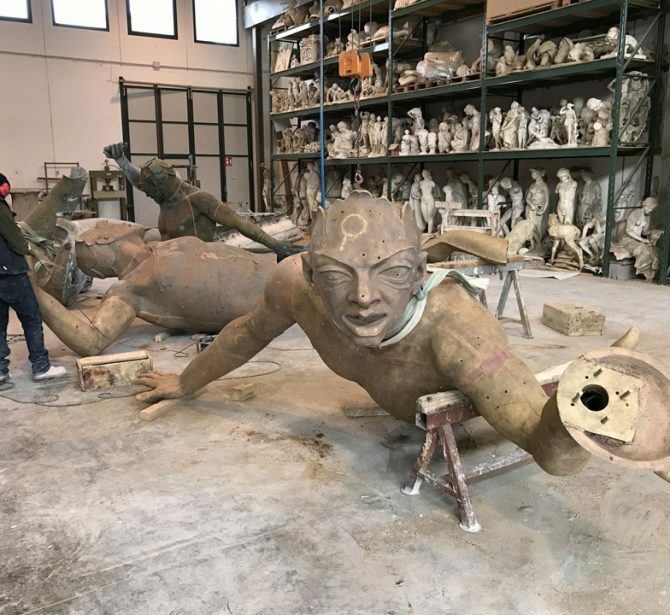 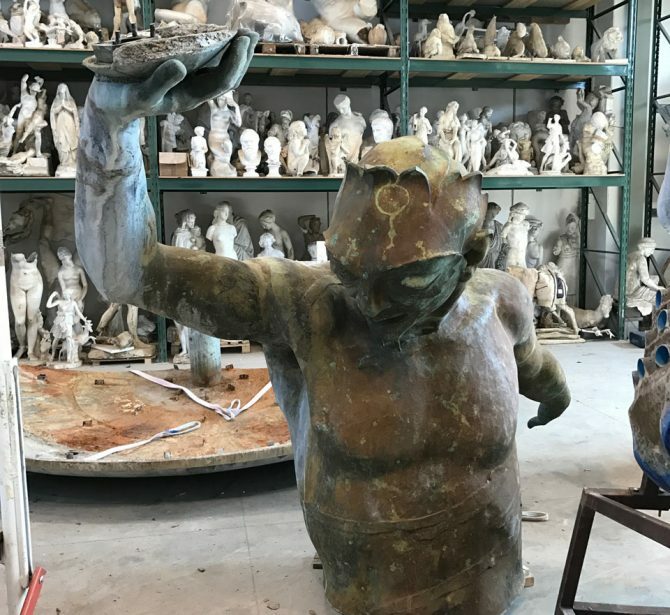 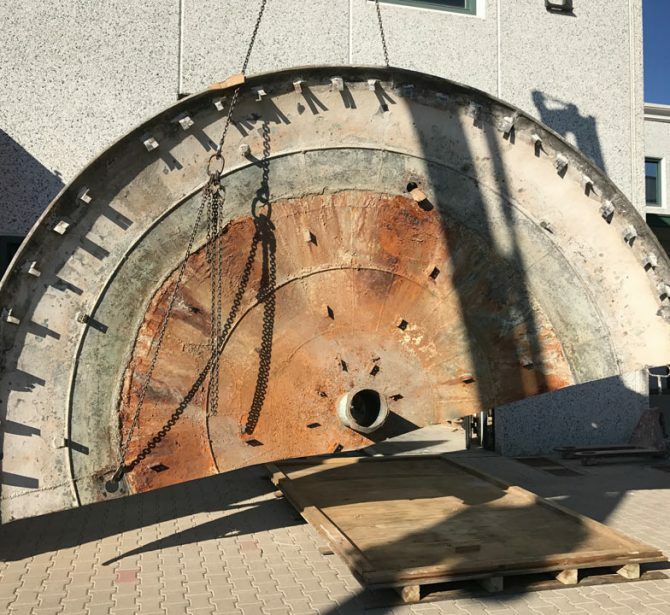 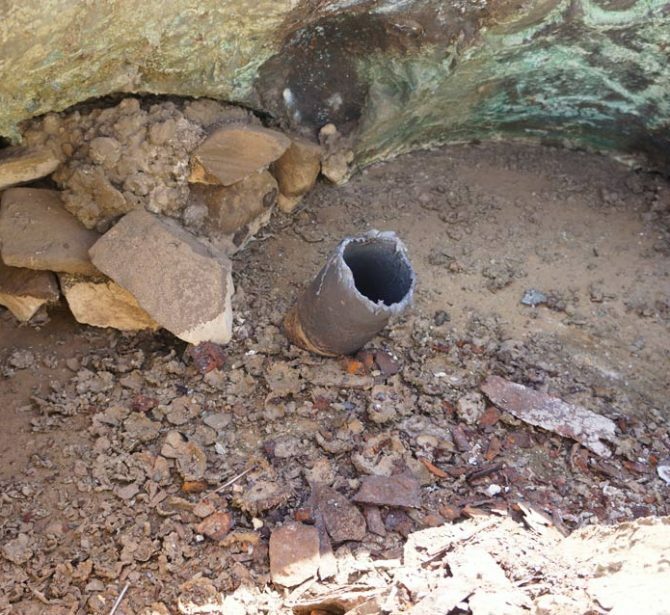 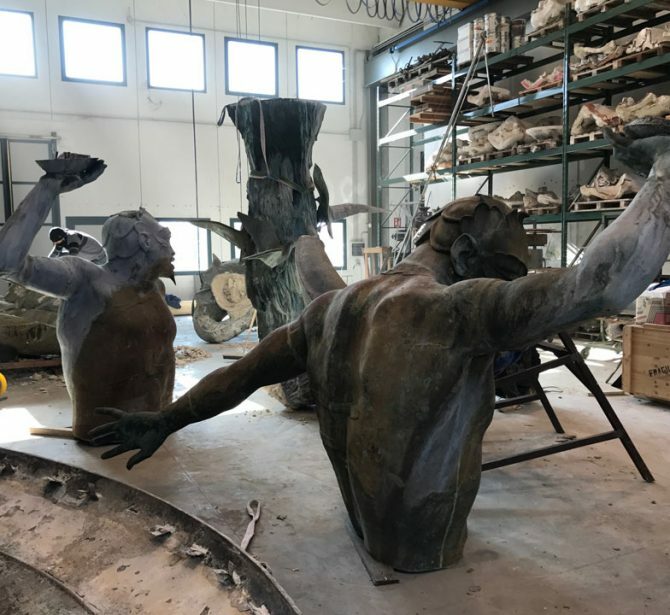 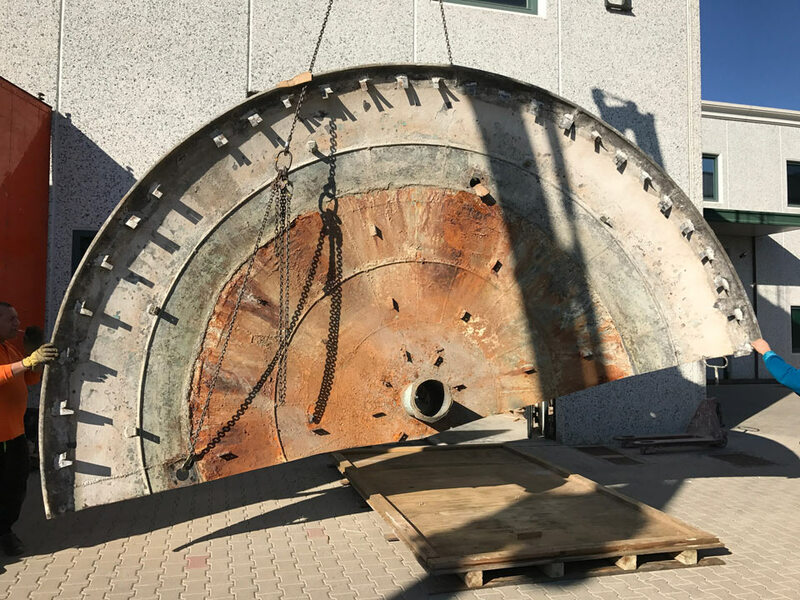 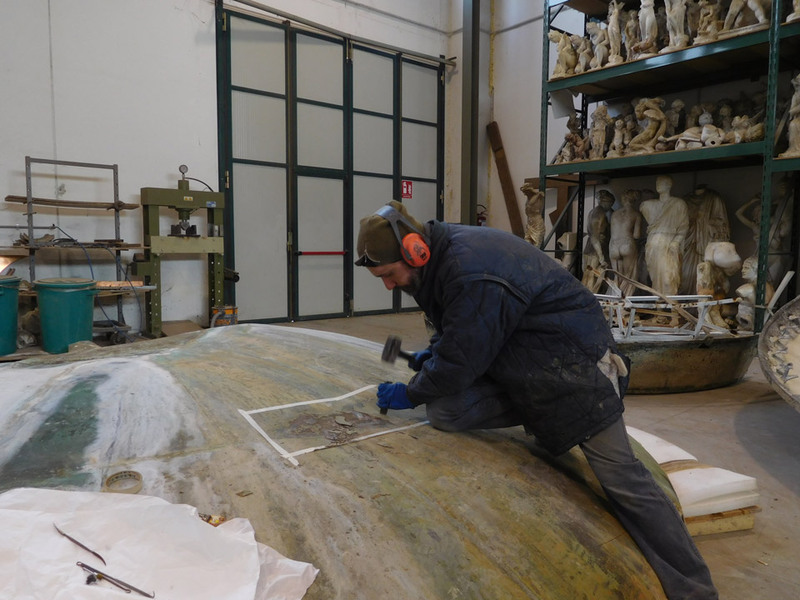 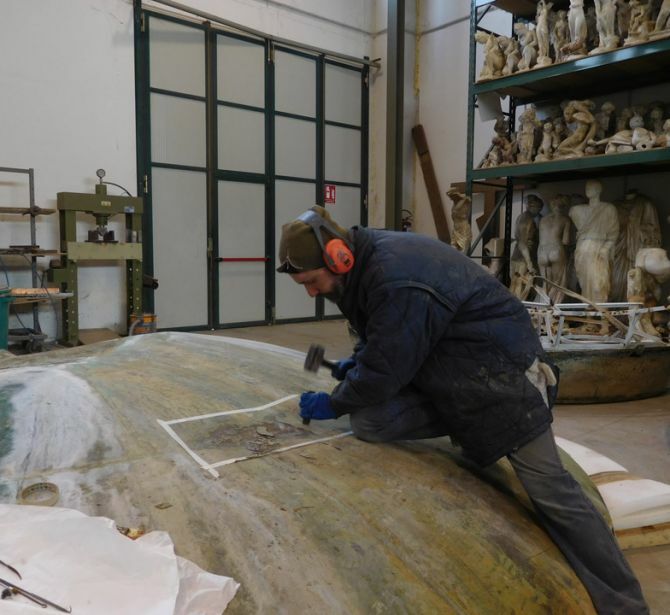 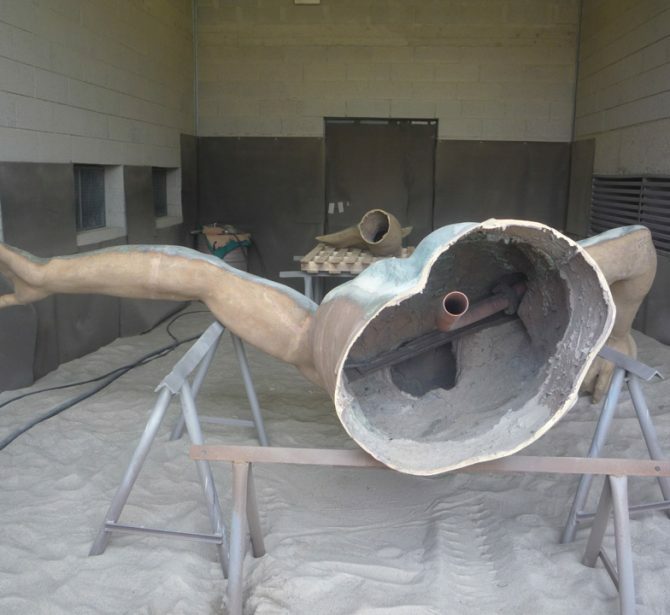 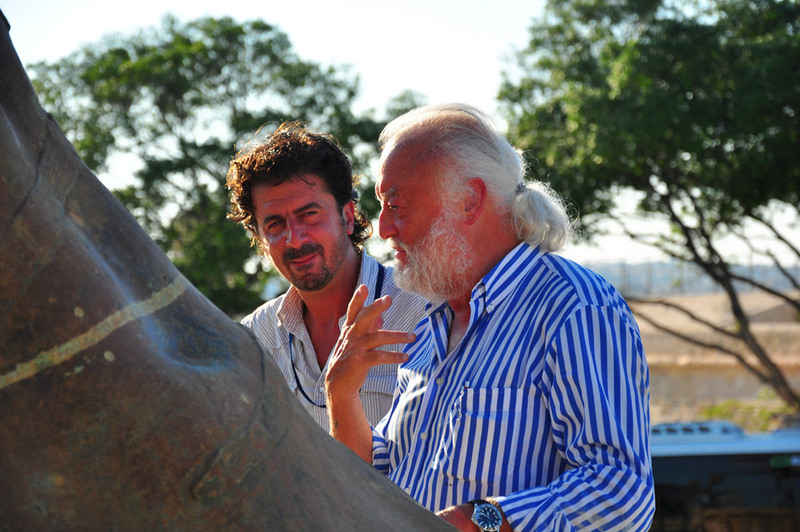 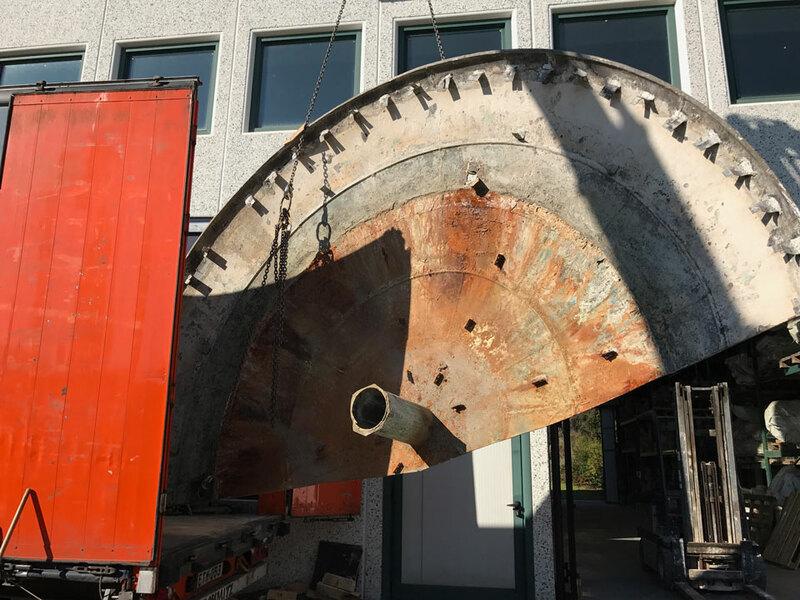 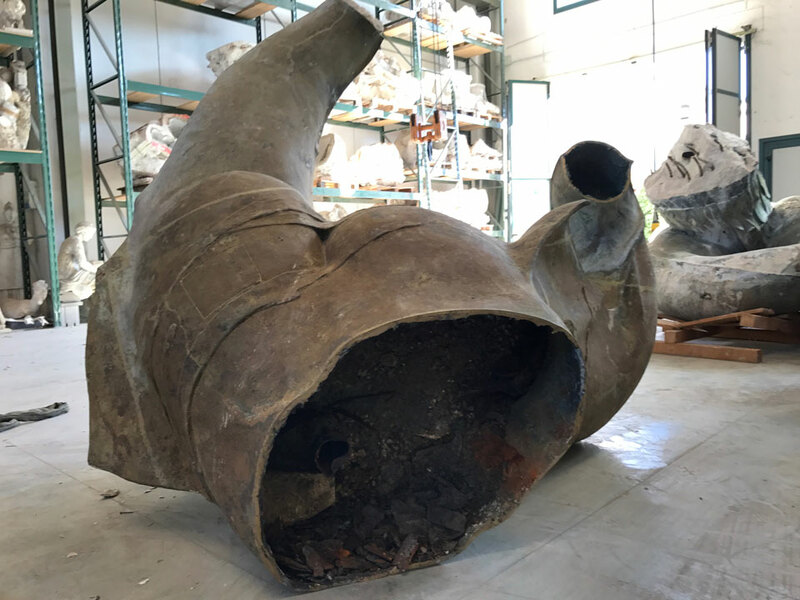 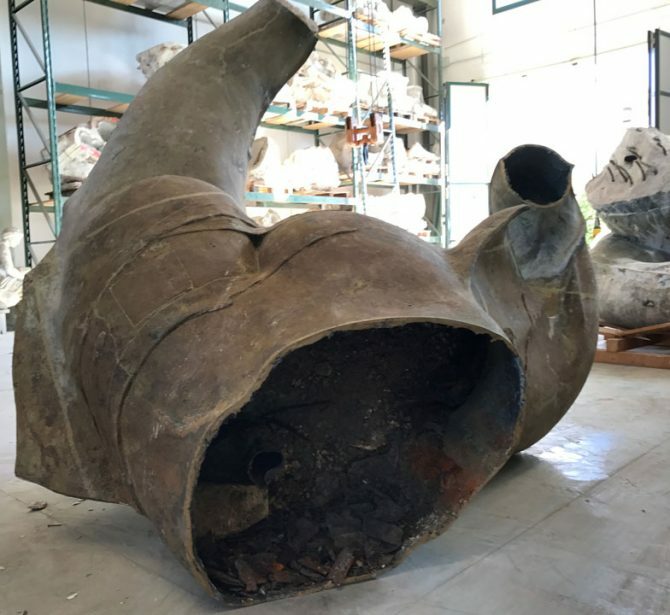 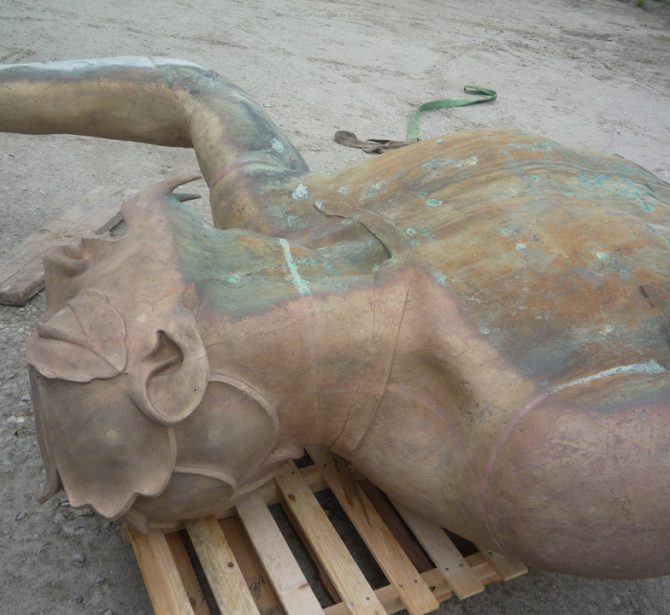 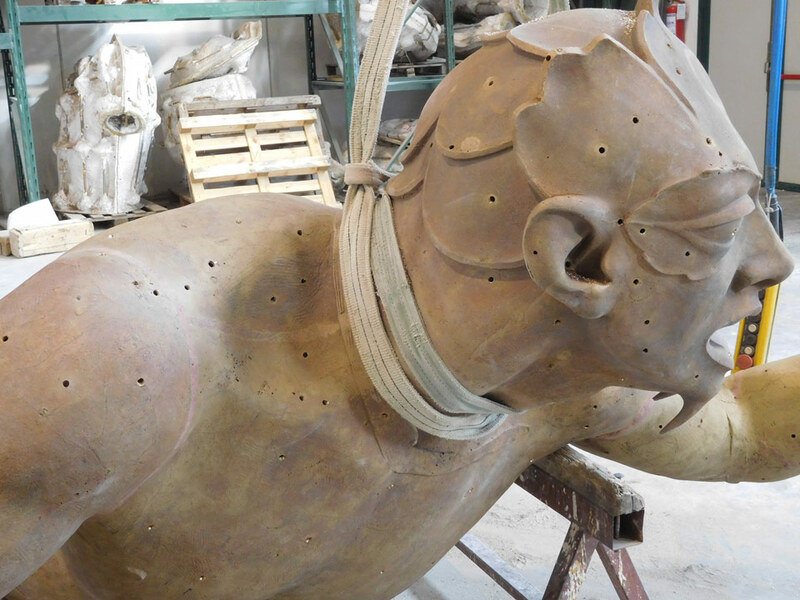 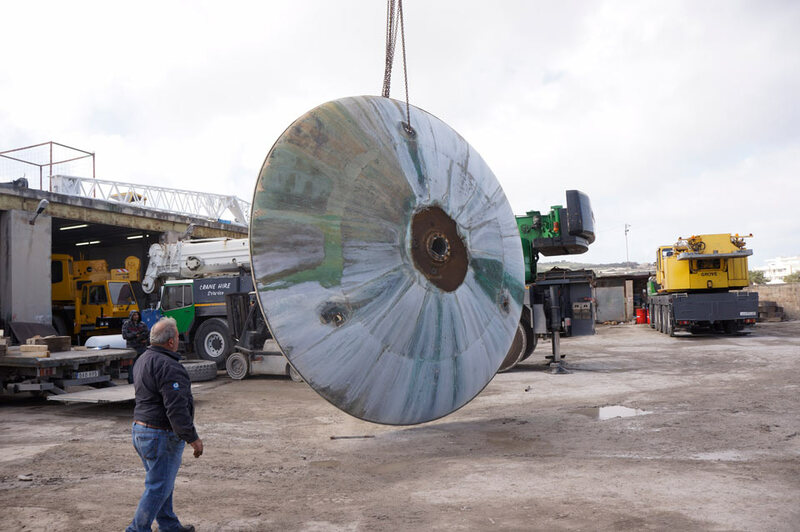 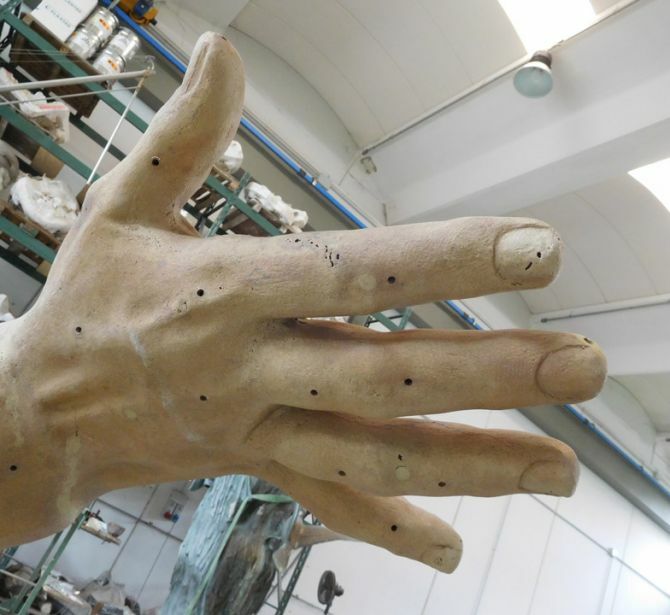 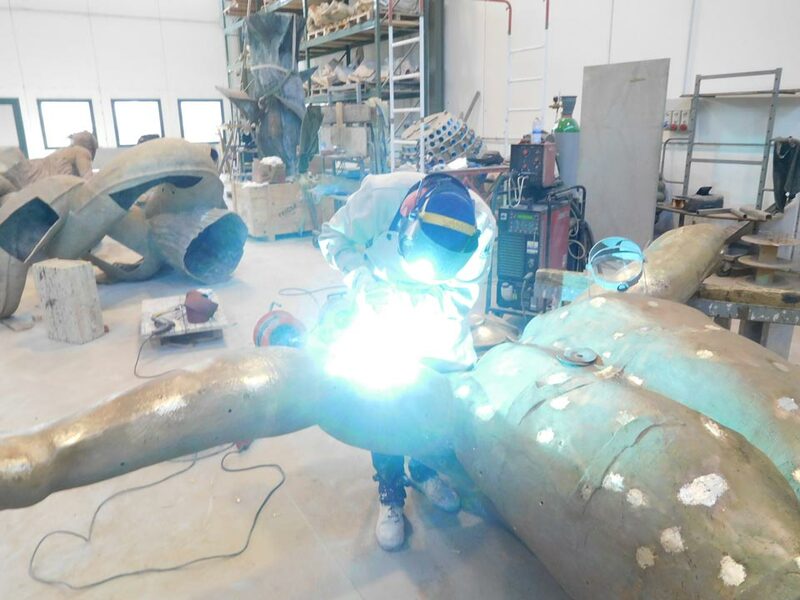 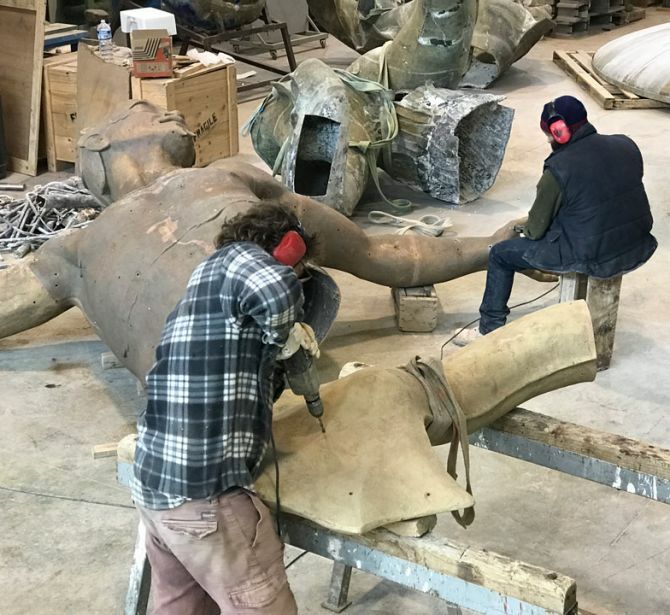 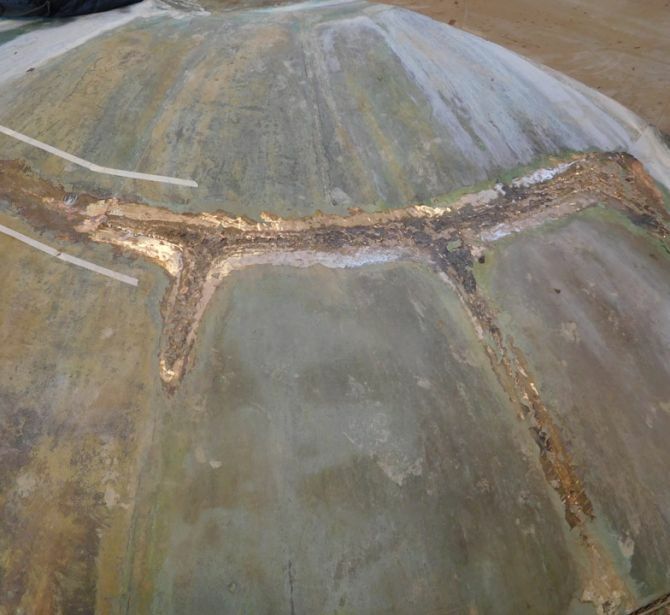 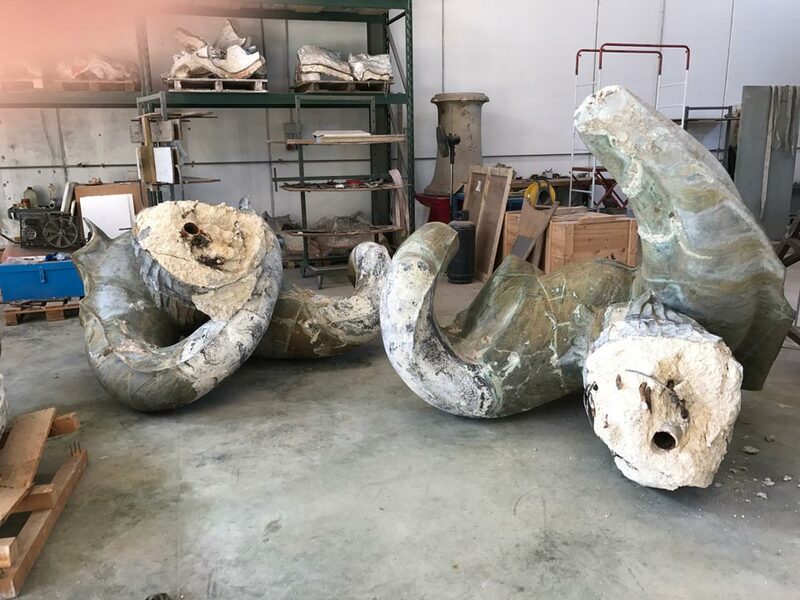 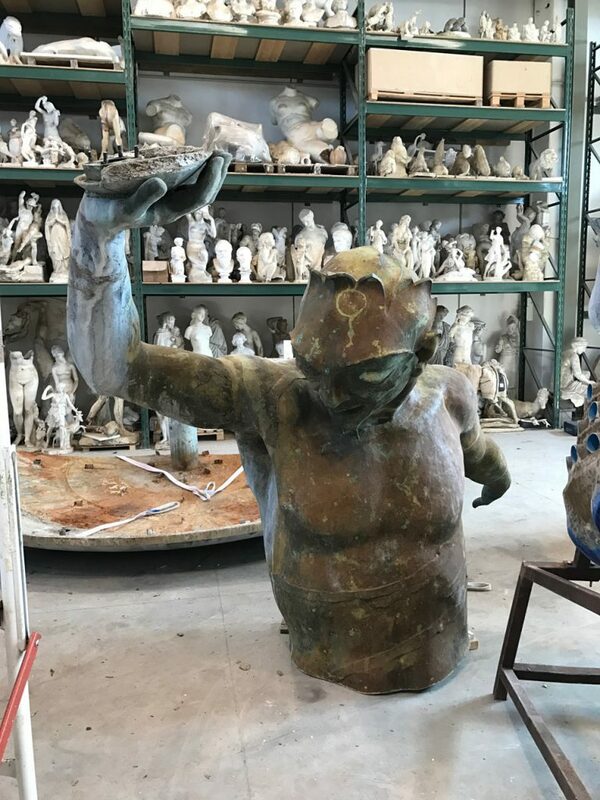 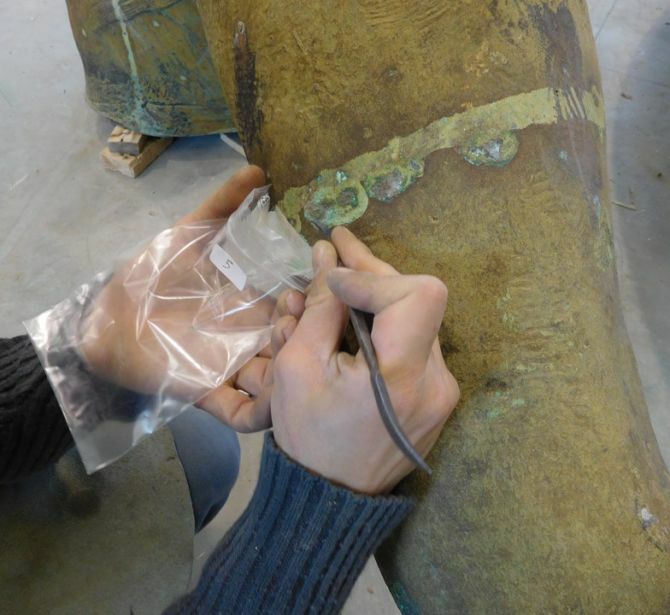 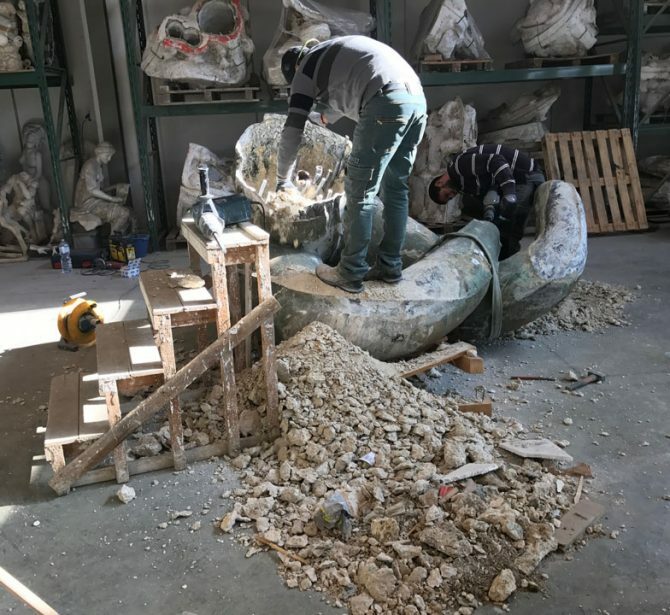 For the bronze sculptures, the Ferdinando Marinelli Artistic Foundry of Florence has been contacted, for the restoration of part of the stones De Feo Restauri of Rome has been contacted, for the hydraulic and electrical systems, the Company COGE Impianti of Gela has been contacted. 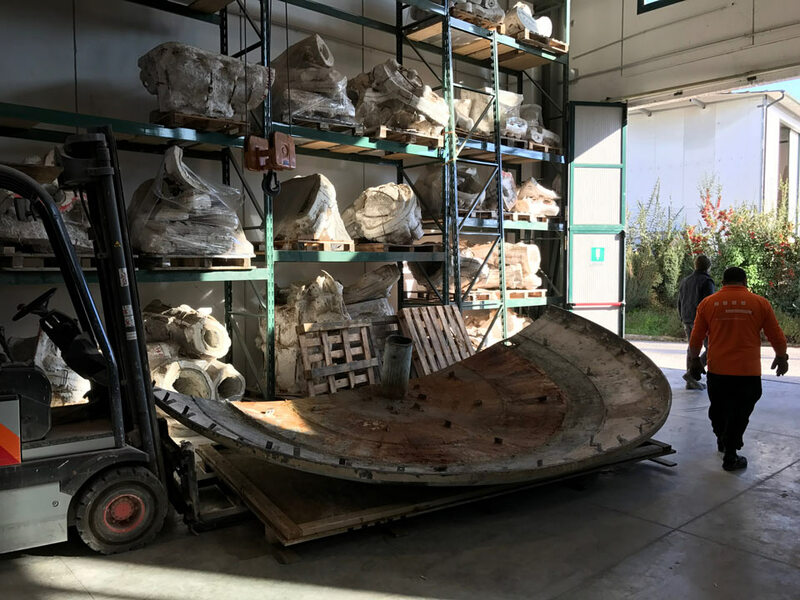 13 May 2017 – An institutional delegation of the Maltese government was welcomed by the Mayor of Barberino Val d’Elsa Giacomo Trentanovi, the President of the Regional Council Eugenio Giani and Ferdinando Marinelli Jr. for a visit to the Foundry. 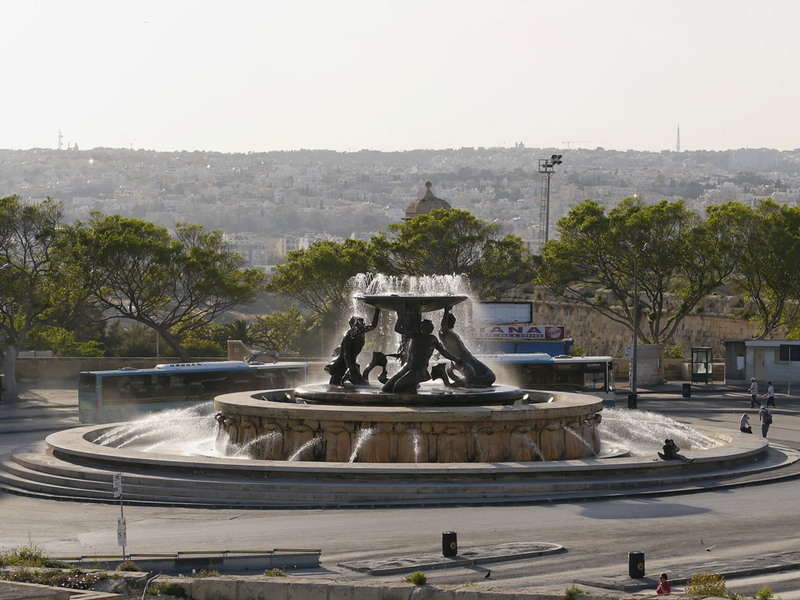 The fountain after the incident. 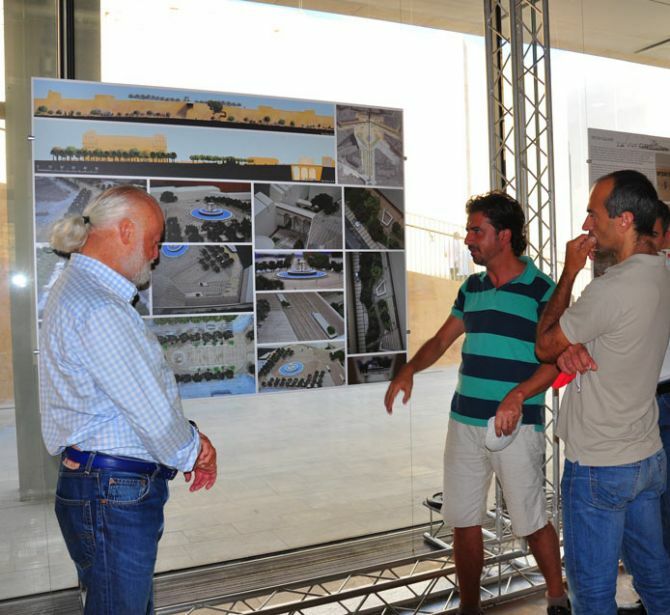 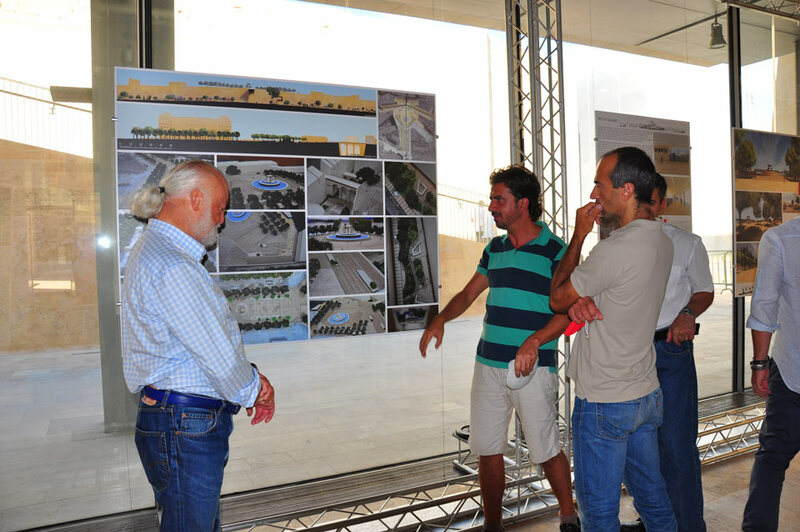 In front of the architectural redevelopment project of the square. 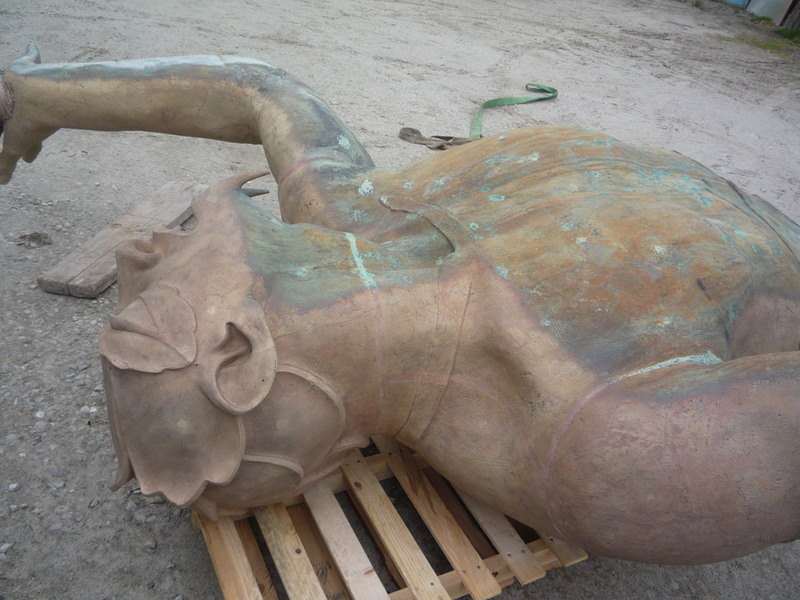 Bronzes arrived to the Foundry. 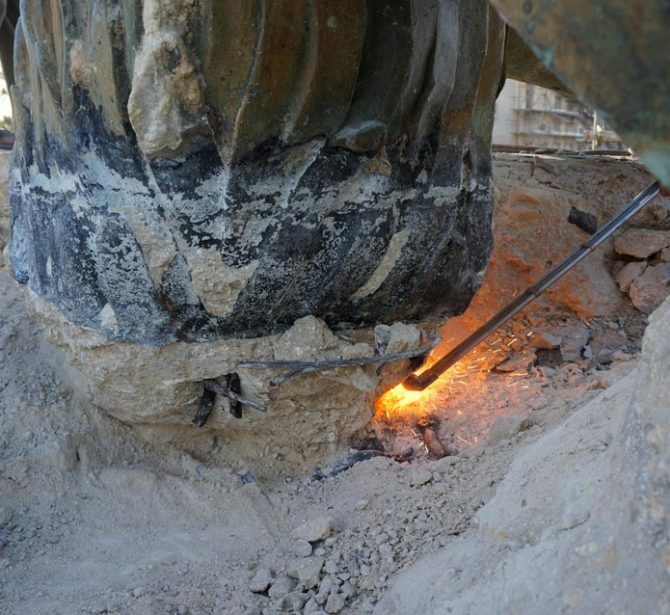 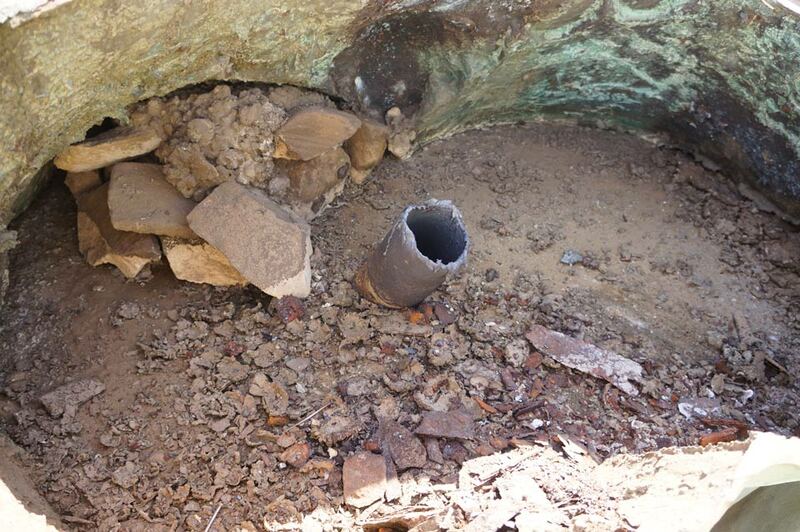 Collecting of samples for analysis.